It being Wednesday, we will now have the singing of the national anthem led by the hon. member for Nanaimo—Ladysmith. Mr. Speaker, so far this session, the federal government has made it clear that a step forward for Canada means a step backward for Quebec. Exhibit A: Muskrat Falls. The government gave Newfoundland and Labrador a loan guarantee so that it can engage in unfair competition in the sale of hydroelectricity to the Americans. Exhibit B: peanuts for Quebec cheese producers as so-called compensation for what they will lose when 17,700 tonnes of European cheese hits the Canadian market. Exhibit C: Bill C-29 and the Liberal vote to undermine Quebec's consumer protection law. Exhibit D: the government's refusal to support Bombardier. In Ottawa, Quebec takes a back seat, but luckily, we are here. The Bloc will continue to speak out against government measures that are bad for Quebec. This government deserves coal in its stocking this Christmas. All the same, my colleagues and I wish all Quebeckers and our parliamentary colleagues a merry Christmas and a happy new year. I suggest they brace themselves, because when we come back, we are not going to go easy on them. Mr. Speaker, it is with great pleasure that I rise today to speak about the incredible Christmas spirit that can be found in my riding. Where do I begin: with the Santa Claus parade in Saint-Rémi, old fashioned concerts and festivities in Mercier, Châteauguay, and Saint-Isidore, or the numerous activities in Sainte-Clotilde, Napierville, and Léry, as well as every other town and village in my region. I would also like to remind my colleagues and constituents that many toy and food drives are going on during this season of sharing. I invite the people of Châteauguay—Lacolle to support organizations active in this area, such as Actions familles in Sainte-Martine, the Comité d'entraide de Saint-Jacques-le-Mineur, Sourire sans faim in Saint-Rémi, and the Châteauguay food bank and Rencontre châteaugoise, partners of the Saint Vincent de Paul Society. Mr. Speaker, it is beginning to look a lot like Christmas, but for many people in Edmonton Griesbach, it is not going to be very jolly. It is the same throughout Alberta, many folks are left out in the cold. Unemployment is almost 10%. People are bracing for a job-killing carbon tax, and EI benefits are running out. The Liberals are being Grinches. Despite their out-of-control spending, they failed to create one single net new full-time job. Their ultra-green agenda has Albertans seeing red. My constituents deserve a government that keeps its word and bolsters the economy. I will continue to stand up for those who want jobs, not welfare; who want pipelines, not pipe dreams; who want action, not broken promises. They deserve more than a Liberal lump of coal. That said, I wish my constituents and all members of this House a very merry Christmas and a happy, healthy new year. Mr. Speaker, our government has approved the Trans Mountain and Line 3 pipeline projects. These projects will generate significant economic benefits, including $4.5 billion in government revenues, money that can be reinvested in our health care, education, environment, and a clean energy future. The Trans Mountain and Line 3 projects will create more than 22,000 direct jobs. We may come from different political parties with different perspectives, but I am asking my Alberta Conservative colleagues to stop acting skeptical about getting these pipelines built. Our goal of bringing prosperity back to Alberta is the same. Their current attitude is hurting investment into our province and slowing recovery of jobs to Albertans. My Alberta Liberal caucus colleagues and I offer to work with members across the way to ensure the pipelines are built, the Alberta economy grows, and the environment is protected. I wish everybody a merry Christmas and a happy new year. Mr. Speaker, British Columbians remember 2015 well. They remember the promises that the Prime Minister and Liberal candidates made, that Kinder Morgan would not be approved using Stephen Harper's methods and the pipeline would not be forced on B.C. without community support and the consent of first nations. Now in 2016, the Prime Minister has betrayed British Columbians by breaking all of these promises. The Liberal Kinder Morgan pipeline makes a mockery of the government's pretension to combat climate change. It even destroys some value-added jobs in B.C. I worked in an oil refinery, and I have been ankle-deep in oil. I have a healthy respect for a substance that has to be treated with extreme caution at all times. Just one error by somebody in an important role could wipe out tourism for years in the Lower Mainland and the coast, and wipe out our coastal fisheries for a generation. New Democrats have been clear: we will stand up against this betrayal of British Columbians, we will stand with first nations, we will stand up for our coast, and we stand against the Kinder Morgan Trans Mountain pipeline. Mr. Speaker, I would like to congratulate the Brar family on launching the biographical book on S. Thaman Singh. He was a wounded British Punjabi veteran of World War I, who after the war, joined the non-violent fight for India's independence from British imperialism. He led many peaceful protests in Bombay and marched alongside Mahatma Gandhi during the famous salt march of India. His turban distinguished him as a Sikh, leading the protests. Sadly, the freedoms that he fought for were never realized during his lifetime. In 1975, his wife and family immigrated to Canada, in a land that echoed the values and freedoms he so desperately desired for his country of birth. His family is shaped by his integrity, his values, his courage, and his conviction. They add to the plethora of resilient and dynamic immigrants who enrich the fabric of Canada, a country that continues to embrace diversity. Mr. Speaker, I have to say, 2016 was one for the books. It is hard to believe that the holidays are once again upon us and another chapter is closed. Whether it was attending the 90th anniversary of the Williams Lake Stampede, doing the 22-push-up challenge with Shaolin monks on the streets of historic gold rush town of Barkerville, walking a full 24 hours in the Prince George Relay for Life for Cancer, or being present to witness new Canadians taking the sacred oath of citizenship, this year has been a roller coaster of emotion. I am so proud to be the member of Parliament for Cariboo—Prince George to serve and represent the incredible families of my riding. As we begin to unwind with our family, friends, and loved ones over the coming weeks, and recharge and reflect on the year that has just passed, I want to take this moment on behalf of my family, Kelly, Kassi, Kaitlyn, Jordan, and Josh, to wish all a very merry Christmas and a happy new year. Shishálh elders, non-indigenous early settlers, and young people are embarking on a year of storytelling with the support of professional artists. The Shishálh have a proud oral tradition. Post-contact settlers have proud stories too. Capturing these is a way for young people to learn and to lead in the community and in the country through truth and reconciliation. Indigenous and non-indigenous, we have a shared history, both light and dark. s-yìyaya, family, we are one. Mr. Speaker, it is the number one city in North America for business cost and one of Canada's best cities for export. It is Atlantic Canada's most entrepreneurial city and home to Canada's most entrepreneurial university. It is Canada's first free wireless city and twice named one of the world's most intelligent communities. It ranks eighth in the world for clean air, fourth in Canada for raising a family, and third as the best place to retire. It is home to a skilled and bilingual workforce and one of the top destinations in the country for millennials looking to carve themselves a future. With more businesses per capita than elsewhere in the country, is it any wonder that Fredericton was recently named Startup Canada's 2016 Startup Community of the Year? I congratulate Task Force Fredericton Startup Network, municipal leadership, and community members across the region who are driving this nation-leading culture of innovation and entrepreneurship in Freddy Beach. Mr. Speaker, Christmas is a time of giving and today I am honoured to pay tribute to two of Red Deer—Mountain View's most generous givers, Jack and Joan Donald. The Donalds are very successful entrepreneurs and are the driving force behind Parkland Fuel Corporation. Just as they have been significant contributors to our local economy, they have also given back to our community for decades. Jack and Joan have led fundraising campaigns for STARS, Red Deer College, the Westerner, the hospice in Red Deer, and most recently, their $3-million gift to RDC is the largest the college has ever received. This generous gift will go toward critical infrastructure in the construction of the Donald Health & Wellness Centre, a wing of the Gary W. Harris Canada Games Centre. The Donalds' leadership, philanthropy, and tireless volunteerism is a legacy that will have an enormous impact for generations to come. On behalf of central Alberta, I thank Jack and Joan. Mr. Speaker, last week Liberal Muslim and Jewish MPs got together to enjoy a Christmas dinner. We shared stories and gifts. We discussed our values and the so much we have in common. We talked about how there were those who wanted to label individuals based on their race, gender, sexual orientation, or beliefs. They wanted to sow distrust based on stereotypes. Left unchallenged, such prejudice would erode the values on which our society is built. Our kids will stop believing us if we tell them that all they need to do is work hard and fair to accomplish anything they want, regardless of their background. We have a responsibility to set an example that we stand together, united against labels and hate. Think about this. What other country brings Jewish and Muslim politicians together to celebrate Christmas and declare solidarity against discrimination? The world is watching. We need to show the best of ourselves. On that note, Mr. Speaker, I want to wish you, my colleagues, and all Canadians a peaceful and rewarding holiday season. Mr. Speaker, I rise today on behalf of my riding of Tobique—Mactaquac. I would like to begin my wishing my second oldest daughter, Madilyn, a happy 11th birthday. I apologize I could not be there. My riding of Tobique—Mactaquac is rich in beauty. The humanity and hospitality shown by the people who live there is infectious. I have had several people mention this to me on several occasions. In keeping with both the hustle of the holiday season and the true meaning behind this time of year, while continuing to live up to our reputation, I would like to put a challenge out to all my constituents. Let us be RAKtivists, random acts of kindness activists. In the coming days and weeks throughout this joyous time of year, let us promote a positive tomorrow by performing random acts of kindness. They can compliment a stranger, hold the door for someone, shovel the driveway for a senior, volunteer, buy lunches for students who need it at school, leave a great big tip, buy coffee for the person behind, or clean the snow off someone's car. Any small action can change someone’s entire day. Let us make every day random acts of kindness day. Commit to the kindness and perform the act. Like my friend @Gimppopotamus once said, “Happiness is like jam. You can't spread even a little without getting some on yourself”. Mr. Speaker, on Saturday night, Flesherton native and Ottawa Senators right-winger Chris Neil played in NHL game number 1,000. Since 1998, this Grey county son has inspired hockey fans everywhere with his work ethic, grit, and determination in each and every game. Playing 1,000 NHL hockey games is a huge feat in itself, but to do it with one team is very rare. It demonstrates an incredible amount of loyalty from both Chris Neil and the Ottawa Senators. Chris and his wife Caitlin have been active leaders in this community, including service as co-chairs of Roger Neilson House, which enhances the lives of children and their families facing serious illnesses. I am proud to announce to the House that his home community of Grey Highlands has proclaimed today Chris Neil day. The community Chris grew up in is especially proud to call him a native son. We congratulate him on this great milestone and thank him for being an inspiration and a role model, and for the rock'em sock'em memories. Mr. Speaker, one year ago, on December 10, our national project to resettle Syrian refugees reached an important milestone as the first plane touched down on Canadian soil. We are fortunate to have seen so many Canadians open their doors, their communities, and their hearts, and to have found partners eager to take up the opportunity of building a rich, diverse, and compassionate Canada. I would like to acknowledge the global refugee sponsorship initiative. This initiative is led by the Canadian government, the UNHCR, the University of Ottawa, the Radcliffe Foundation, and the Open Society Foundations. It is designed to provide training and advice to countries interested in replicating Canada's private sponsorship model. This week, the initiative is bringing together sponsorship groups, refugees, and governments from nine different countries interested in replicating Canada's tremendously successful model. This is vital work. Each of us should be proud of how much Canadians have done to make a difference. Mr. Speaker, according to the Disabled Women' Network, the rates of sexual violence, physical and verbal violence, and systemic violence are at least three times higher for young women and girls living with disabilities. One in five women in Canada lives with a disability, and they suffer the highest rates of poverty and unemployment. The Prime Minister has stated repeatedly over the last year that his goal is to build a stronger, more inclusive Canada. If he is serious, here is where he must start. He must ensure that the proposed federal strategy against gender-based violence, as well as the Canadian poverty reduction strategy, which should really be poverty elimination strategy, are well and properly funded and completely accessible to women and girls living with disabilities. If we are serious, if Canada is to become more inclusive, then everything we do in government, every law and every policy, must be viewed through the lens of disability. This lens must be gendered; it has to be. Mr. Speaker, it is that time of year again. That is right, Festivus is upon us and I am filled with the sentiments of Frank Costanza who said, “The tradition of Festivus begins with the airing of grievances. I got a lot of problems with you people and now you're gonna hear about it”. For example, the Prime Minister set out his own accountability rules, which he and most of his ministers wasted no time in breaking. We have ministers selling access to themselves for $1,500 a pop to rich lobbyists and foreign governments. Not only that, the Prime Minister has admitted to taking money from elite billionaires who make no effort to hide their intention to buy influence with government. Most Canadians do not have $1 million to buy the PM a statue. Most Canadians are not going to fork over $1,500 just so they can get in a room with him and his ministers. It is time the Prime Minister and his government stopped pandering to elite donors and started listening to ordinary Canadians. We are only asking for a “Festivus for the rest of us”. Now, as we all look forward to every year, the hon. member for Cape Breton—Canso. Manage your expectations, Mr. Speaker. Both Opposition Parties were definitely hurtin'. To find a new leader, who was up to the task. When all he could muster was 47%. They posted the job, but no one applied. And place a help wanted ad, on “Plenty of Fish”. And their values-based screening, knocked none of them out. It's evolved to a game of out Donalding Trump. They hope the interim leader, chooses to stay. The heck with them all, let's draft Kevin O'Leary. But when it comes to the next election, I'd still bet on our boy. Mr. Speaker, the end of the session is a good time to point out that the government turned its back on Canadian families. For example, it did away with tax credits for sports, the arts, and textbooks for children. What is more, it increased taxes on families and small businesses. When will the Prime Minister stop working for his Liberal friends and start working for Canadians? Mr. Speaker, we have already started. The first thing we did was cut taxes for the middle class. That was very important for Canadians across the country. However, even more important was the Canada child benefit. It helps nine out of ten families, who now have more money in their pockets every month for their family. This was a very good year, and we hope for even better and that the next 16 years will be very good. Mr. Speaker, nothing says “middle class” like a ticket to an exclusive Liberal Party fundraiser. Just imagine the middle-class problems the Liberals try to solve over champagne and caviar. Let us not forget the Chinese billionaires. The people the Prime Minister is hanging out with are not middle-class people, and he is not there to solve middle-class problems. When is the Prime Minister going to stop spending his time with the out of touch elite and focus on the out of work Canadians? Mr. Speaker, the Prime Minister and the government are working for middle-class Canadians and those working hard to join them. Those are the very people for whom we will continue to work. That is why we reduced taxes on middle-class Canadians. That is why we supported families with children that need it the most. We will continue to invest in families in Canadian communities so we can do the good work Canadians expect us to do. Mr. Speaker, let us compare the middle class to the Prime Minister's cash for access donors. Middle-class folks are concerned with getting their mortgage approved. Billionaires at his cash for access events are lobbying to get their bank approved. Middle-class families are anxious about how to pay for their grandma's health care. Billionaires at these cash for access events are trying to buy seniors' homes. These are not middle-class families with middle-class problems, so when is the Prime Minister going to admit he is selling out the middle class to his billionaire friends? Mr. Speaker, as I have said, the Prime Minister and the government are committed to working for middle-class Canadians and those working hard to join them. We will continue to work hard for Canadian families with children through the tax-free Canada child benefit so the families that need it the most will get the most so they can provide and support their families in the way they choose. I will repeat that the Chief Electoral Office, in regard to ticketed fundraising events, has confirmed that every party fundraises and every campaign does them. Mr. Speaker, let us get this straight on the Prime Minister's cash for access fundraising. First he claimed there was no business being discussed at these events and he was just following the rules. However, when that did not work out, he admitted to breaking the rules. However, that is okay because he is above the rules. Yesterday, his story changed again. Now we are supposed to believe these cash for access events are all about the middle class. When is he going to stop working as a bagman for the Liberal Party and start working for Canadians? Mr. Speaker, we have said all along that we are always listening and engaging with Canadians from coast to coast to coast on the issues that matter to them. When it comes to making decisions, we are guided by a very important principle: what is good for the middle class. That is the approach we took when we cut taxes on middle-class Canadians, that is the approach we took when we introduced the tax-free Canada child benefit, and that is the approach we took when we expanded the CPP. We will continue to listen and engage with Canadians so we can do the good work that they expect us to do. Mr. Speaker, here is the principle at stake. The Prime Minister has basically said that he is above all Canadians, he is above the law, and that these rules apply to everyone else except for him. He continues to blindly defend these actions about selling access to his office, with each new excuse becoming more arrogant every day. It is embarrassing to the Canadians who expected more from him, it is embarrassing to the House, and it is actually embarrassing to his Liberal caucus that has to sit through all of this. When will the Prime Minister finally do the right thing and end these cash for access fundraisers? Mr. Speaker, as the member knows very well, when it comes to political financing, we have some of the strictest rules across the country. This government was elected on a commitment to Canadians to work hard for middle-class Canadians and those working hard to join them. Those are the people we continue to work for. Those are the commitments that we made to Canadians and those are the commitments we will continue to deliver on. Mr. Speaker, today we have more proof that Canada 2020 is simply a wing of the Liberal Party of Canada. Access to the Prime Minister should not be based on donations made to the Liberal Party or to Liberal organizations. If the maximum amount has been donated to the Liberal Party, that is not a problem because it has other schemes to let people contribute more. My question is simple. How many Canada 2020 activities did Liberal ministers attend? Mr. Speaker, what is important is that the government is listening to Canadians and is committed to addressing the challenges they face. We will continue to work for the middle class and for Canadians. We will do the work that Canadians want us to do. Mr. Speaker, after the Prime Minister threw his minister and the president of the Liberal Party under the bus, the PMO scrambled to write new talking points, and they are truly cringeworthy. The Prime Minister said his cash for access events, where people pay $1,500 to talk government business with the Prime Minister, are meant to help the middle class. Finger on the pulse, Mr. Speaker. Do the Liberals really think that exclusive fundraisers with canapés and cocktails are a Christmas gift to the middle class? Mr. Speaker, as I have said time and time again today, our Prime Minister and this government are committed to working for the middle class. That is why we lowered taxes on middle-class Canadians. That is why we introduced the Canada child benefit tax-free for families with children that need it the most. That is why we are working closely with the provinces and territories and municipalities so that we can respond to the very real challenges Canadians are facing. I know that all sides of the House can work together to respond to the needs of Canadians. Let us keep working hard together. Mr. Speaker, somewhere, quietly to himself, Paul Calandra is smiling. Just a year ago, the Liberals were chanting a new way of listening to Canadians, but little did Canadians know, they needed $1,500 to get their ear. This is the season for stories, so here is one. There was once a young prince, with luscious locks and looks to charm. He told the good people of this land that he would bring fairness to their democracy and make each and every vote count. Canadians are suddenly waking up, and they want to know, will the government actually bring in a fair proportional voting system, or is that all just a fairy tale? Mr. Speaker, as a government, we are proud to hear from Canadians before introducing legislation. It is why my parliamentary secretary and I travelled the country hearing from Canadians. It is why we brought together a committee to act as a forum to hear from Canadians. It is why we are reaching out in a new digital initiative in which one-quarter of a million Canadians have already participated. We look forward to hearing from many more voices before introducing legislation in the House. An hon. member: Hear, hear. Order. I know it is an exciting time of year. Members should contain themselves, really. Remember, you better not shout, you better not cry. The hon. member for Skeena--Bulkley Valley. Mr. Speaker, if Canadians had a nickel for every empty answer they got on electoral reform, they might be able to afford to go to one of those Liberal fundraisers. Enough with the doublespeak. We have an historic opportunity to rise above narrow partisan interests and make every vote count. Here is one more chance for the Liberals to live up to their promise to Canadians. Will they drop the excuses, pick up a pen, and work with all of the parties to create a new and fair voting system where each and every vote counts, yes or no? Mr. Speaker, as a government, we continue to be committed to strengthening our democratic institutions. We continue to be committed to working with all members of the House to strengthen what we have. We are seriously committed to hearing from many more Canadians, not just through the traditional means of engagement but through new, innovative digital initiatives. More than 250,000 Canadians have felt empowered and have responded to our digital campaign. We look forward to hearing from many more voices before we introduce legislation. Mr. Speaker, when I came to Ottawa, I learned a new word: “chaggering”. According to the 2016 dictionary of ethics, it means being forced by the Prime Minister to repeat the same thing every day, even if one does not believe it, so that the Prime Minister will not have to answer any real questions. When will the Liberal government put an end to this practice and its cash for access fundraisers with the Prime Minister and the ministers? When will he stop “chaggering” us? Mr. Speaker, it is obvious that my colleague likes my answer so I will repeat that the rules governing fundraising are among the strictest in the country. We will continue to respond to the real challenges Canadians are facing. Our government listens to and engages with Canadians. We are going to continue to do the work that they want us to do. Mr. Speaker, Canadian youth and students are some of the most vulnerable victims of the Liberals' no-jobs plan. The Liberals are raising taxes on them, thus making life even more expensive for young Canadians. They are losing hope altogether of having a long-term job in their near future. They cannot afford the $1,500 entry fee to get the Prime Minister's ear. How can young Canadians trust the Prime Minister when he is willing to sell out their interests and their future to his billionaire friends? Mr. Speaker, this gives me an opportunity to talk about the many advancements we have been doing with young Canadians from coast to coast to coast. The fact is that we are providing more support for going to school, for getting real, practical training, and for finding the skills and abilities to adapt to a very changing workforce, as we all know, with the new economic revolution called 4.0. I look forward to working with all members of the House in the new year. Mr. Speaker, the Prime Minister's confession about lobbying during $1,500 fundraisers blackens the honour of all Canadians. Our democratic system is now an international laughingstock. This brings shame to us all. Will the Prime Minister apologize to Canadians and obey his own ethics rules? Mr. Speaker, as the Prime Minister said, and as every one of our members has always said, we are always listening to and engaging with Canadians from coast to coast about the issues that matter to them. When the time comes to make decisions, we are guided by one very important principle: the best interests of middle-class Canadians. That is the approach we took when we cut middle-class income taxes, and that is the approach we took when we introduced the tax-free Canada child benefit. Mr. Speaker, when the Prime Minister is hosting an exclusive cash for access event, he claims that he is advocating for the middle class. Really? I honestly hope that was an attempt at humour. The Prime Minister has no regard for his own rules, his own party rules, and he laughs in the face of the ethics laws. When will the Prime Minister end these unethical cash for access events? Mr. Speaker, let us look at the work this government has done. This government has reduced taxes for middle-class Canadians. We have raised taxes for the wealthiest 1% of Canadians. This government has given more money to families with children who need it the most by introducing the Canada child benefit tax-free. That is also the approach we took when we expanded the Canada pension plan. We will continue to respond to the very real challenges Canadians are facing. Mr. Speaker, enough is enough. The Prime Minister's cash for access events are a national embarrassment, and he is quickly becoming a mockery around the world. The Prime Minister is selling access to his government. He knows it, the Chinese government and its detractors know it, his caucus knows it, and Canadians know it. It is called corruption. The Prime Minister has become a laughingstock on the matter of ethics. It is time for the Prime Minister to act like a leader and put an end to these unethical cash for access events. The only question is, when will he do it? Mr. Speaker, this government is engaging with Canadians. This government is listening to Canadians. This government is responding to the very real challenges Canadians are facing. I am not surprised that the Conservatives find it embarrassing that a government would listen to Canadians. We know that is what Canadians want. We will continue to consult and engage with them, because we need to respond to the challenges they are facing. We will continue to do the good work that Canadians expect us to do. Mr. Speaker, this is getting embarrassing for the Liberals. The Prime Minister now says that he used cash for access fundraisers to champion the middle class. Where I come from, the middle class does not hang out at waterfront mansions or get to jet-set with Chinese billionaires. Where I come from, the middle class shows up for work every day, struggles to pay taxes, and plays by the rules. If the Prime Minister wants some advice about the middle class, he should try meeting with the middle class. When will the Prime Minister end his corruption and put hard-working Canadians first? Mr. Speaker, this government has had unprecedented levels of consultation with Canadians so that we can respond to the very real challenges Canadians are facing. The member knows very well that when it comes to political financing, the rules are some of the most strict across this country. Even the Chief Electoral Officer has said so, and the member knows very well that the rules clearly state that only Canadians can donate to Canadian political parties. We will continue to respond to the challenges Canadians are facing. We will continue to do the good work they expect us to do. Mr. Speaker, CSIS has backtracked on its promise to reveal to a Senate committee whether journalists were under surveillance. The government will only say that no journalists are currently under surveillance. Why, then, is CSIS so reluctant to share any information about this? This implies that surveillance of journalists is still ongoing, while the government is doing nothing meaningful to protect freedom of the press. Will the minister finally take this matter seriously and launch a public inquiry? Mr. Speaker, on the very important issue of press freedom and the protection of journalistic sources, all existing safeguards that are in place now are being reviewed to make sure that they are strong and effective. I have said publicly many times that we are open to any and all advice coming from journalists, the legal community, or others who may have submissions to make about how the law can be made more effective. Mr. Speaker, the United States has announced that it is cancelling certain arms deals with Saudi Arabia because of systemic and endemic problems related to the reported targeting of Yemeni civilians by that country. Meanwhile, it seems that Canada is allowing the use of light armoured vehicles made in Canada in the conflict in Yemen. Can the minister confirm this? Is he not concerned that Canada could become complicit in war crimes? Mr. Speaker, the government does not export the same kind of weapons to Saudi Arabia as the United States did. The weapons in that case were air to ground bombs. We condemn the repeated, senseless attacks in Yemen, including the recent horrific attack on a funeral home. These violations of international law and humanitarian law are tragic and unacceptable. Obviously, we have denounced those actions repeatedly, and we are not part of the Saudi coalition. We want Saudi Arabia to honour its international obligations. Mr. Speaker, as families look to buy Christmas gifts, they are haunted by worry, worry about the record household debt that has now reached $1.67 for every dollar of household earnings, worry compounded by the new taxes the government promises on wages, on gasoline, on home heating and electricity, and maybe even on health and dental plans. As we get closer to Christmas, when will the government realize that many families have nothing more to give? Mr. Speaker, there have been some really important things that have happened this year. On January 1, taxes were lowered for middle-class Canadians. On March 22, we introduced a budget that increased the guaranteed income supplement for single seniors by 10%, $943. We also introduced the Canada child benefit, which is helping families with, on average, $2,300. We also changed student grants so they get 50% more for lower-income and middle-income families. It has been a year of important initiatives, and we are looking forward to doing more for middle-class Canadians in 2017. Mr. Speaker, by middle class, he apparently means the people who can afford to attend $1,500-a-plate fundraisers. That is why he cut taxes for people earning $200,000 a year. They got $800, but someone earning $45,000 got exactly zero. The new $100 billion in debts that Liberals are adding is great news for the billionaire bond holders who will collect interest on it, but for the working class people who have to pay that interest through their taxes, it is a nightmare. When will the finance minister realize that Canadians have their own debts and cannot afford to pay for his? Mr. Speaker, I am grateful for this opportunity to repeat that middle class families are our top priority. We have avoided sending cheques to families of millionaires, so we can send them to nine families out of ten, which means the families of six million children, with an average benefit of $600 per month, non-taxable. That is taking the families of 300,000 children out of poverty. Mr. Speaker, the Liberal's greed keeps eating into the wallets of Canadian workers and it knows no bounds. What is the Liberals' latest scheme? They want to tax health insurance and dental insurance, which is very bad news. What will that accomplish? This has existed in Quebec for a few years now. Does the minister know what happened? Unfortunately, 20% of Quebec's workers no longer have private dental and health insurance. Does the minister want 2.6 million Canadians to lose their insurance? Mr. Speaker, the numbers are clear. This was a good year in Canadian politics. We started with a tax cut for the middle class. We also improved life for seniors by enhancing old age security. We also created the Canada child benefit, which helps nine out of ten families have more money. These are the measures we have taken. Next year, we will continue to help the middle class. Mr. Speaker, it is definitely not by taxing people's private insurance that they are going to achieve that goal. In addition to taking money out of workers' wallets, the minister has nothing to put under the Christmas tree for business people, who are the creators of jobs and wealth. In the new year, they are going to have to deal with the Liberal tax on carbon, additional contributions to pension funds, the elimination of tax credits, and the refusal to lower business taxes. That is what our business people, our job creators, can expect. As Christmas approaches, why is the minister acting like Scrooge towards our job creators? Mr. Speaker, we want to make investments for the future while we help the middle class, and that is exactly what we are doing. We have made historic investments in our country's infrastructure, which will improve Canada's future growth. Next year we will proceed with our program that will invest in the future of our children and grandchildren. Mr. Speaker, over the past two months, I have been calling on the government to do something to help students who are still not getting paid as a result of problems with Phoenix. Yesterday, we learned that nearly 1,700 student workers at Parks Canada have had problems with their pay. Students have a lot of expenses, particularly with the rising cost of tuition. These young people finished working four months ago. They were not volunteers. When will the Minister of Public Services and Procurement be able to assure me that all of these students will get paid? Mr. Speaker, as I have said repeatedly, it is totally unacceptable for anyone to go without pay for work performed, certainly in the case of students. I can report today that there are three students who are still waiting for pay. We are working very hard on their cases in order to get them resolved as quickly as possible. Mr. Speaker, it has been two months since the Phoenix deadline, and 10,000 cases have yet to be fixed, meaning thousands of Canadians are still waiting to get paid, yet we have learned that executives in charge of this fiasco are getting bonuses. Let us get this straight. Executives are getting performance bonuses for a program that does not work. With the holidays around the corner, this adds insult to injury to the so many who are still waiting to get paid. Will the minister prove that her government takes this seriously and halt the bonuses until Phoenix is fixed? Mr. Speaker, there is no one more concerned about this issue than I am as the minister responsible. We are working very hard. We have put measures in place, including satellite offices. We have hired 250 additional people to deal with these issues. We are now dealing with really complex issues. In fact, the 10,000 cases that remain are issues that have been outstanding, some going back three years. We are doing everything we can to deal with the issue, and we will continue to do that. The hon. member for Bay of Quinte. Mr. Speaker, after three governments, four prime ministers, and 14 years since the project began, I was proud that our government has successfully acquired fixed-wing search and rescue aircraft. These aircraft play a critical role, carrying out search and rescue operations to respond to Canadians in distress across our vast country of over 18 million square kilometres. Can the Minister of Public Services and Procurement please inform the House what this announcement will mean for all Canadians? Mr. Speaker, I thank the member for Bay of Quinte for his hard work. Last week in Trenton, we announced the awarding of a contract to acquire a new fleet of 16 modern search and rescue aircraft. This announcement fulfills our commitment to ensure that men and women in uniform have the equipment they need to carry out the work expected of them. This contract will create middle class jobs for Canadians throughout the country and generate growth for Canada's aerospace and defence sector, but more importantly, these aircraft will help our military save the lives of Canadians everyday. Mr. Speaker, the Liberals have refused to provide any details about the deployment of 600 Canadian troops to a dangerous African mission. Canadians are demanding the facts. Yesterday, the defence minister broke his promise to provide Canadians with the information by the end of this year. He is now saying he is going to hide that information until next year. This is not like keeping our children's Christmas presents a surprise. The lives of our soldiers are on the line. Will the Liberals finally start being transparent about their blatant political decision, and allow for a full debate and a vote before they deploy our troops to Mali? Mr. Speaker, my colleague is completely right. This is a very serious decision. It must be taken very seriously and in a comprehensive way. Where the member is in contradiction with himself is by asking me to do that in the next 10 seconds that I am allowed in the House. No, it will be done properly, in due time, with true transparency, and will show how much Canada will honour its commitment for peace. Mr. Speaker, the minister is not answering the question, so I will ask it another way. Before the government decides to deploy any troops, as the Liberals are going to do with the mission in Africa, the Standing Senate Committee on National Security and Defence is asking it to inform the House of the size of the mission, its goals, the risks involved, the costs, and the rules of engagement, and to obtain the support of all parties. The Senate is making this recommendation based on the Dutch model, which focuses on transparency and reaching a consensus. Will the Minister of National Defence heed this advice and provide the House with all the facts so that we can hold an informed debate, or will he hide the truth from Canadians? Mr. Speaker, that is the same question so I will give the same answer. It is very important that the Government of Canada be open and transparent about this fundamental decision to send our troops to support the cause of peace, as they always have. Canada is one of the few countries in the world that has never sent its troops abroad for reasons other than to protect democracy, peace, and justice. That is what we will do, and we will provide all the information to Canadians, because they have a right to know what is happening. Mr. Speaker, Australia, the United States, and the U.K. have banned the use of mefloquine, the anti-malarial drug, by members of their armed forces. Last week, we learned Germany will no longer be administering the drug to their armed forces. This decision puts the Canadian Armed Forces one step behind our NATO and European allies. The drug has a toxic side effect, and leads to aggression and suicide. The defence minister continues to defend the use of mefloquine. Why can he not see that our allies have acted to protect their forces from mefloquine and do the same to protect Canadian troops? Mr. Speaker, we take the health of our troops very seriously. Malaria is a life-threatening disease present in many areas of the world. Individuals are carefully assessed and screened by their health services. The Chief of the Defence Staff stated lately that the Surgeon General is looking into the use of mefloquine and will report back imminently. Mr. Speaker, all of our allies are facing that same malaria. In August of this year, Lord Dannatt, head of the British army apologized to troops who had taken mefloquine while he was chief of the general staff. Although he did not take the drug himself, he saw first-hand its catastrophic side effects. On September 15, the Australian department of veterans affairs established a dedicated mefloquine support team for its service members and veterans. Why is the Liberal government willing to risk the health and lives of our soldiers by refusing to recognize the dangers of mefloquine, like our allies have, before it deploys them to Africa? Mr. Speaker, mefloquine is a Health Canada approved drug, and continues to be an option for malaria prophylaxis, as recommended by the Public Health Agency of Canada and by most public health and travel medicines around the world. Having said that, however, the Chief of the Defence Staff has caused the Surgeon General to look into the use of mefloquine prior to any future deployments. Mr. Speaker, for more than a year now, the Prime Minister has been talking about how important the relationship with indigenous peoples is. For more than a year now, I have been rising in the House to ask why the government is not really sending that same message to first nations. This morning, we learned that survivors of St. Anne residential school, where there was an electric chair and children were forced to eat their own vomit, have to go to court to fight for compensation and to ensure they will not have to cover the government's legal costs. That is what I call disgusting and despicable. When will this government start walking the talk? Mr. Speaker, our government is committed to justice for all victims of this dark chapter in our history and to ensuring that everyone who is eligible for compensation receives it. We do not typically seek to recover costs from claimants under the Indian Residential Schools Settlement Agreement. Generally, matters related to costs are resolved once the case is settled, not while it is before the court. Mr. Speaker, CETA will dramatically increase foreign takeovers of Canadian companies by raising the threshold for reviews from $600 million to $1.5 billion. This will apply to EU companies as well as American, Chinese, Russian, and many other foreign companies. The EU is years away from fully ratifying CETA. Why is the government moving full steam ahead? Instead of permitting more foreign takeovers, the Liberals should be standing up for Canadians by tightening the rules. Will the Liberals support the NDP's amendments to remove these dangerous provisions from CETA? Mr. Speaker, I would like to thank the Conservatives and, particularly, the Bloc who joined us yesterday in supporting this progressive agreement that is going to add to Canadian GDP and create jobs. It is going to lead to an increase of 0.77% to our GDP, which translates to roughly $11.44 billion. The hon. member for Kamloops—Thompson—Cariboo. Mr. Speaker, today the CBC posted an article by Charmaine Stick of the Onion Lake Cree Nation, which was titled, “I starved myself for financial transparency at Onion Lake Cree Nation”. For 13 days in June 2014, I went on a hunger strike. In actuality, the First Nations Financial Transparency Act — which the [Liberal] government stopped enforcing last December — was good for people. It was somewhere for the grassroots people to go to get answers...We need equality. Without the First Nations Financial Transparency Act, there's no equality for the membership in our community. When will the minister start empowering these courageous women and enforce the act? Mr. Speaker, everyone, including first nation governments, wants increased transparency and accountability, but we will achieve this through working in full partnership with first nations leadership and organizations. Before and after the election, first nations from coast to coast to coast were clear that top down, made-in-Ottawa solutions will not work. Our government is committed to reviewing the laws, including the FNFTA, and we will review it in full consultation with first nations. Mr. Speaker, it has been over a year. I do not think it takes that long to consult and come up with a plan. We have now learned that the Liberals have set up a secretive four-person club that is concocting ways to transfer billions of dollars directly to the chiefs of first nations. The minister has stripped financial transparency protections for grassroots band members. Band members need more information, not less, so they can be empowered to hold their leadership accountable. When will the minister stop her attack on financial transparency and grassroots first nations? Mr. Speaker, I was very proud to meet with the Assembly of First Nations and the new committee on financial and fiscal relationships. Accountability and transparency is one of the things they are studying very closely. They are consulting with their nations from coast to coast to coast, and they will report in one year about how we will move out from under this grants and contributions system to treating nations nation to nation. Mr. Speaker, the Liberals embarrassed themselves yesterday when they donned Ukrainian traditional dress to praise an ally and then voted against recognition of the Soviet genocide of Crimean Tatars. Whipping MPs to cozy up to Putin is just another example of the Liberals muting Canada's principled voice on human rights this year, as with China, Iran, Cuba, Ethiopia, Syria, Congo, and the UN. When will the Liberals stand up and speak truth out loud to tyrants and despots? The hon. member for Scarborough—Rouge Park. Mr. Speaker, during the campaign we promised to engage Canadians on how to ensure that our national security framework keeps us safe and protects our rights and freedoms. Like many hon. members, I participated in these consultations, along with my constituents. Could the Minister of Public Safety please tell the House how Canadians have responded to this opportunity to make their voices heard on this matter of critical importance? Mr. Speaker, this unprecedented engagement with Canadians about our national security framework has been a resounding success. Online we have received more than 53,000 individual responses, plus another 17,000 emails and form letters, and that is on top of meetings held in ridings across the country, including one I attended recently with the member for Scarborough—Rouge Park. After online submissions close tomorrow, we will examine all of that input as we act to ensure that Canadians are safe and their rights and freedoms are properly protected. Mr. Speaker, the Institut nordique du Québec is a development tool serving northern Quebec, Ontario, and the Canadian Arctic. The Government of Quebec, Laval University, and private companies have confirmed their financial support to the institute. Why is the Liberal government ignoring the regions yet again? The Quebec City region is being ignored. While the Prime Minister seems to have instructed his Minister of Families, Children and Social Development to ignore the Quebec City region, will he instead show some respect for the people of the greater Quebec City area and support the Institut nordique du Québec? Mr. Speaker, we are proud of our relationship with the Province of Quebec. We have recently received the application for this project, and the project is under review. The minister responsible for the Province of Quebec knows about this, and we are working with them. This project is very important to us. As we review this, we will let the province know the outcome. Mr. Speaker, despite the government's grand promises and its claims to want to tackle tax evasion, we learned that the company that is renting office space to the Canada Revenue Agency is guilty of tax evasion. It makes no sense for this so-called progressive government to say that it wants to combat tax evasion and then turn around and sign public contracts with companies linked to tax havens. Does the Minister of National Revenue believe it is acceptable that her own department is doing business with those companies and will she cancel that contract? If she does not cancel the contract, that will be a clear message that she is turning a blind eye to tax evasion. When will that outrageous contract be cancelled? Mr. Speaker, the situation my colleague raised is troubling. I discussed this matter today with my colleague, the Minister of Public Services and Procurement. It is important to note that Public Services and Procurement Canada is responsible for the agency's real estate and leasing needs. The agency does not deal directly with the owners of the buildings it leases. However, I can assure the House that our government will continue to take action to ensure that all Canadians pay their fair share. That is at the core of my mandate, and I will not give up. Mr. Speaker, last week, the Minister of Foreign Affairs and the Minister of Sport and Persons with Disabilities announced a consultation process toward Canada’s accession to the United Nations optional protocol to the Convention on the Rights of Persons with Disabilities. As we know, Canada is one of the first countries to have signed this convention. Could the Minister of Sport and Persons with Disabilities inform the House about the discussions on acceding to the optional protocol? We are very proud of this major announcement made earlier in the month. The Convention on the Rights of Persons with Disabilities ensures the protection and promotion of the rights and dignity of persons with disabilities so that they may be treated equally and without discrimination. Our government will continue to work with all levels of government and stakeholders, as they all play an important role in the process of Canada's accession to the optional protocol. I would like to congratulate my colleague from Global Affairs. The standing ovation he received from the disability community at the time of this announcement was well deserved. Mr. Speaker, we will give the Minister of Public Services another chance. Yesterday we discovered that over 1,600 students working at Parks Canada were the most recent victims of the Liberals' Phoenix pay fiasco. Reports indicate that there are still thousands of employees without pay heading into the Christmas season. The Liberals' continued contempt for public services, especially Parks Canada student employees, is unacceptable. Will the Liberal government finally take action to ensure that our public servants are paid in time for Christmas? Mr. Speaker, we are working very hard to resolve the issues associated with Phoenix, many of which date back prior to Phoenix. With respect to the students, there are three students left who are waiting for pay, and we are working very hard to resolve their issues. However, it is totally unacceptable for employees to go without pay for work performed, especially at a time like this. That is why we are encouraging all employees who are finding themselves in a difficult position as a result of this to contact us to make arrangements for emergency pay. Mr. Speaker, it is my great hope that we could leave this place with glad tidings. I hear news that the Government of Canada, after decades of inaction, is finally prepared to ban the use, import, and export of asbestos. I hope this is true. I ask the Prime Minister if this can be confirmed, and whether Canada will also take action to list asbestos under the Rotterdam Convention so that developing countries can have prior informed consent. Mr. Speaker, our government is committed to moving forward on a ban on asbestos. I am working with my colleagues on a government-wide approach, and I can tell the House that I will be announcing additional timelines by the end of the year. Our government has already taken action by placing a ban on the use of asbestos in new government construction and has put in place a national asbestos inventory. Order. I would like to draw to the attention of hon. members the presence in the gallery of Michel Samson, Minister of Energy, Minister of Acadian Affairs and Francophonie, Minister of Trade, and Minister responsible for Part I of the Gaming Control Act for the Province of Nova Scotia. The Speaker: Now I believe the hon. opposition House leader has a question. Mr. Speaker, I have a question for the government House leader about the future business of the House and ask if she would consider an idea of mine. I know we are all getting ready to go on our Christmas holidays fairly soon, but I think that even during the Christmas time, there are lot of people in this country who are suffering because of job losses. I wonder if she would consider, when we return after the Christmas break, having a take-note debate regarding the job losses suffered in the energy sector. Mr. Speaker, I want to thank my colleague, the House Leader of the Official Opposition, for her question. I would say to the House that the government has no objection to having a take-note debate on this matter when we return in 2017.
c) when proceedings on Bill C-29 and S-4 have concluded, the House shall adjourn until Monday, January 30, 2017, provided that, for the purposes of Standing Order 28, it shall be deemed to have sat on Thursday, December 15, and Friday, December 16, 2016. Does the hon. minister have the unanimous consent of the House to move the motion? Mr. Speaker, I first want to wish you, Mr. Speaker, and your family a very happy holiday season. We have been able to achieve quite a bit over a limited amount of time during this fall sitting of Parliament. I want to thank my counterpart House leaders, the members for Portage—Lisgar and Victoria, and their respective teams for their collaboration and co-operation. I very much look forward to their continued collaboration in the new year as we continue to work in the best interests of Canadians. I would also like to thank the whips and other members of the House leadership from all sides and their teams for their hard work, as well as all of the members of the House for their continued work. I hope everyone enjoys the time with their families, loved ones, and constituents, and that all come back to the House in January refreshed and ready to roll up their sleeves once again. I would be remiss if I did not thank and recognize the tremendous staff who help us get work done in this place. My thanks to all the branches and services of the House administration. Without their contributions we would not be able to do the good work that we do. Finally, I would like to thank our pages. They now have a few months under their belts. I wish them their best in their exam period and hope they enjoy their time away from this place and that they too come back refreshed. We certainly look forward to seeing them in 2017. Again, Mr. Speaker, to you and all my colleagues, a very happy and enjoyable holiday season and a very happy new year. Mr. Speaker, I want to echo and return the good wishes the hon. House leader just conveyed. I want to begin by wishing the House leader a very merry Christmas and a happy holiday, as well as our counterpart, the House leader for the NDP. It has been a joy and a privilege to work together. I know it is a new position for all three of us. I think, with our teams, we have been able to work fairly well. I wish her, her team, the whips, and their teams very happy holidays. I also want to mention the staff here, who have helped us so much. We thank the clerks here at the table so much for the votes they get through every week. We wish them a wonderful holiday and a restful time. We want to thank the pages. They were mentioned, but we appreciate so much the pages who look after us here in the chamber. We want to mention the security personnel who keep us safe. They do so in such a gracious manner. They always treat us so respectfully, but we know that they are looking out for our best interest and we so much appreciate what they are doing. We thank the interpreters, as well, who do a wonderful job of ensuring that we always understand each other, and when we do not always give them a lot of good words to deal with, they still translate those very well, and we appreciate that. We thank all of the House staff who are here and the bus drivers who get us here every day and make sure we get to our votes on time. I wish you, Mr. Speaker, and your staff, a very merry Christmas. To those who are sitting who are Deputy Speakers as well and also take the Chair, we wish them happy holidays and a merry Christmas. I thank all of my colleagues in the House for all the work they do. I hope they have a good time with their families and with their friends. Relax. Be reinvigorated. We will all be back here in 2017. Mr. Speaker, I too would like to take a brief moment to rise on behalf of the NDP caucus to extend season's greetings and holiday wishes to you and to colleagues and staff across the parliamentary precinct. I would like to thank the government House leader and the House Leader of the Official Opposition, who spoke before me, for the productive work and discussions we have had over the past number of months as we have settled into our new roles. While it has not always been easy, I feel that our work on behalf of Canadians has been valuable. Happy holidays to them and to their entire caucuses and teams. 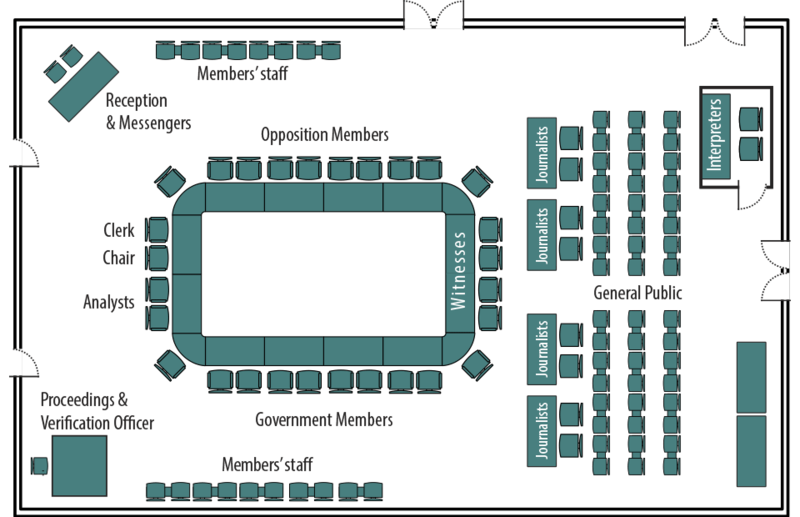 Many people work behind the scenes to support parliamentarians in their day to day work. That includes the interpreters, the broadcasting team that makes it possible for Canadians to see our work, the security guards who protect us, and the maintenance staff who keep the buildings on the Hill in order. I want to thank all of them and wish them all a happy holiday season. I would like say thank you, Mr. Speaker, to you and your team of procedural experts at the table, journals, committees, and across the precinct for your dedication and wish you good health and happiness in the new year. I would be remiss if I did not also wish the pages a merry Christmas. No doubt they are looking forward to going home to see their families after this first semester in Ottawa. They provide us with professional service, even though they are busy with school work and finals. I would like to take one final moment to draw to the attention of all members of this House that Ms. Lynn Legault is preparing for a well-deserved retirement after serving as the supervisor in the House of Commons page program for the past 32 years. Lynn has served this House over the span of eight different prime ministers and has seen the history of our nation unfold on the floor of this chamber. Lynn's perpetual smile and kind heart have had an impact on the more than 1,200 pages she has supervised. At 40 pages per year, after 32 years, that really adds up. Those former pages include at least three clerks at the table, as well as the hon. member for Hull—Aylmer and the Minister of Families, Children and Social Development. I have to say that one of my own staff in the House leader's office, Alex Telka, remembers Lynn as one of the first people he met when he moved to Ottawa to take up his role as a page. He tells me that Lynn's kindness and warmth are known in every corner of the Hill, given the number of former pages she has influenced who are now working across the precinct. Thank you to Lynn Legault for her 32 years of loyal and dedicated service. I wish her a very happy retirement. On behalf of the NDP, I wish everyone a happy holiday season and all the best in 2017. Before proceeding, I would like to thank the hon. member for Victoria for mentioning Lynn Legault. Apparently she is not working in the House today. Perhaps she planned it that way since she is so modest. In any case, we will miss her. The hon. member for Montcalm. Mr. Speaker, I would like to have the consent of the House to extend greetings on behalf of my party. Do I have consent? Mr. Luc Thériault: Mr. Speaker, on behalf of my political party, the Bloc Québécois, and our members here in Parliament, we are pleased to extend our best wishes for Christmas. We wish you the very best for 2017. We salute your sense of fairness and your pursuit of equity in the House. We would also like to extend our best wishes to the entire team, which serves us with exemplary dedication. As a user of their services, I would also like to acknowledge the excellent work of the interpreters in the House. Finally, we extend our best wishes for Christmas to all our colleagues from all parties. We wish them a very happy new year. Although we are all proud representatives of our parties, we are also human beings who will be returning to our families today. We hope you will all enjoy the holidays. Until next time! May 2017 be as eventful as the year drawing to a close. Mr. Speaker, I have not many words to add. We have to thank all the team here on Parliament Hill. The only group that has been forgotten are the wonderful people who serve us in the cafeterias and the dining room, who get laid off right now and are rehired when we get back, so special thoughts for them, for all our security guards, the translators, the table officers, your team, Mr. Speaker, and each and every member of the House. My best wishes for the holidays! Merry Christmas! Merry Christmas. For some of us, we await the arrival of the birth of our Lord and Saviour. For others, we just celebrate a great time among family and friends. For my dear friends of the Jewish community, it is a bit delayed now, but happy Hanukkah. To everyone in the Conservative caucus who earlier raised Festivus, I do not want anyone left out, so Festivus for the rest of us. I thank all those who have spoken, the House leaders and others, for their kind words and generous comments toward all colleagues and for thanking so many folks who work for us. I want to add my thanks to all members, the clerks, the pages, all the staff of the House of Commons, the Parliamentary Protective Service, and the Library of Parliament, who all provide such great help to us. As for the staff of members of Parliament and ministers who work either here in Ottawa or across the country, we could not do our jobs without them, and we are very grateful for the wonderful work they do. I am pleased to offer my best wishes to everyone for a merry Christmas and happy new year, happy Hanukkah, and happy holidays. Have a wonderful and safe season. Remember, many members of Parliament, and other Canadians, will be driving during this period. Members, especially from large rural ridings, do a lot of driving, and I am always concerned that they be careful when they do so, because sometimes they are tired. It is good to take a rest if need be. Keep that in mind, please. Mr. Speaker, happy holidays to you and your team. I have the honour to table, in both official languages, the 2016 annual report to Parliament on the activities of the Office of the Extractive Sector Corporate Social Responsibility Counsellor. This covers the May 2015 to May 2016 period. The report was prepared by the extractive sector corporate social responsibility counsellor. Mr. Speaker, pursuant to Standing Order 36(8), I have the honour to table, in both official languages, the government's response to 64 petitions. Mr. Speaker, pursuant to Standing Order 34(1), I have the honour to present to the House, in both official languages, the report of the Canadian parliamentary delegation respecting its participation at the election observation mission of the OSCE Parliamentary Assembly, held in Washington, D.C., and Raleigh, North Carolina, from November 5 to 8, 2016. Mr. Speaker, before I go ahead with the official tabling of the report of the Standing Committee on Official Languages regarding the action plan for the next five years, I would like to thank the House of Commons staff who contributed to that report, specifically the clerk, Christine Holke, and the research staff, Lucie Lecomte and Geneviève Gosselin. A lot of time went into this report. I am proud to chair a committee that feels like a big family. I want to thank my fellow members of the Standing Committee on Official Languages. I congratulate the member for Perth—Wellington, who is a new father to a bilingual son. I thank the member for Drummond for his targeted contributions, the member for Madawaska—Restigouche for his collegiality, the member for Beauport—Côte-de-Beaupré—Île d'Orléans—Charlevoix for her dedication, the member for Montmagny—L'Islet—Kamouraska—Rivière-du-Loup for his bilingualism at home, the member for Rivière-des-Mille-Îles for her sensitivity to minority communities, the member for Sudbury for his energy and ability to bring people together, the member for Sackville—Preston—Chezzetcook for his joie de vivre as a proud Nova Scotian, and the member for Saint Boniface—Saint Vital for his commitment to his community. I have the honour to present, in both official languages, the third report of the Standing Committee on Official Languages entitled, “Toward a New Action Plan for Official Languages and Building New Momentum for Immigration in Francophone Minority Communities”. Pursuant to Standing Order 109, the committee requests that the government table a comprehensive response to this report. Mr. Speaker, I too want to congratulate all the members of the House for a very successful year and wish everyone a merry Christmas and a very happy new year. I have the great honour to present, in both official languages, the ninth report of the Standing Committee on Transport, Infrastructure and Communities in relation to its study of certain provisions of the Fair Rail for Grain Farmers Act. Mr. Speaker, I would also like to take this opportunity to thank all the staff who help this House run so smoothly, and I want to thank the great staff we have in the committee for their excellent work this year. We have been working very hard, and they have done an excellent job, and I just want to call them out in the House today. I have the honour to present, in both official languages, the fourth report of the Standing Committee on Environment and Sustainable Development in relation to C-18, an act to amend the Rouge National Urban Park Act, the Parks Canada Agency Act and the Canada National Parks Act. The committee has studied the bill and has decided to report the bill back to the House, without amendment. Happy Hanukkah and happy holidays to all. moved for leave to introduce Bill C-330, An Act to amend the Controlled Drugs and Substances Act (landlord consent). She said: Mr. Speaker, this bill is looking for landlord consent. As members may be aware, medical marijuana can be grown in homes, and at times, landlords are absolutely devastated by the impact, with no control. I am seeking that if medical marijuana is to be grown in a home, the landlord needs to give permission first. moved for leave to introduce Bill C-331, An Act to amend the Federal Courts Act (international promotion and protection of human rights). He said: Mr. Speaker, I thank the excellent member for Vancouver Kingsway for seconding my bill. Some mining companies behave responsibly, but others ignore human, environmental, and labour rights. We can no longer ignore these human rights violations abroad. This is about fundamental Canadian values. This legislation would create a new civil cause of action that would allow the Federal Court to hear claims for violations of international law that occur outside of Canada where there is no established impartial legal system. The Canadian Association of Labour Lawyers has endorsed the bill. My bill would help to end impunity by holding corporations accountable for violations of human rights wherever they occur. I hope all members will support this initiative to protect and promote human rights around the world. moved for leave to introduce Bill C-332, An Act to provide for reporting on compliance with the United Nations Declaration on the Rights of Indigenous Peoples. He said: Mr. Speaker, I am proud to have the support of the member for Etobicoke Centre. I rise today to present a bill that would offer a higher of accountability, an act to provide for reporting on compliance with the United Nations Declaration on the Rights of Indigenous Peoples. The federal government in consultations with provincial and territorial governments and with first nations, Métis, and Inuit peoples must report 15 sitting days after June 2 of every year. This legislation would fulfill the seven teachings of honesty, knowledge, humility, respect, love, effort, and courage. moved for leave to introduce Bill C-333, An Act to amend the Citizenship Act and the Immigration and Refugee Protection Act (granting and revoking of citizenship). She said: Mr. Speaker, this legislation seeks to address three issues, one being the Citizenship Act. The bill seeks to restore the procedural fairness for those who are faced with citizenship revocation, amendments that I tabled at committee that unfortunately did not pass. I am hopeful that they will get through by way of this private member's bill. The other two aspects of the bill deal with the Immigration and Refugee Protection Act. One is on cessation, particularly for refugees who have had cessation of status as a result of travelling back to their country of origin. This is egregious and should be fixed. Last but not least, due to a series of archaic laws over the years a number of Canadians have found themselves without their Canadian citizenship after many years. That should not be the case. Prior to the 150th anniversary of this country, we need to restore citizenship to those who have lost it because of these archaic laws. Mr. Speaker, I am pleased to present a petition signed by campers who stayed at the Castleton Hills RV Park in Castleton, Ontario, which is located in the tranquil rolling hills of Northumberland—Peterborough South. The petitioners call on the government to ensure that campgrounds with fewer than five full-time, year-round employees will continue to be recognized and taxed as small businesses. Mr. Speaker, I rise to present a petition signed by individuals from Wikwemikong First Nation, who see how media concentration and digital convergence have made community TV and media even more important and necessary. They point out that the Broadcasting Act stipulates that community, private, and public broadcasting should complement one another and that CRTC policy states, “the community channel should be primarily of a public service nature, facilitating self-expression through free and open access by members of the community”. The petitioners are asking the government to enable a network of community-operated media centres. They feel this would ensure the survival of community TV, the availability of local media in areas not served by private or public media, and would give all Canadians access to multi-platform media skills training and content distribution in the digital economy. Mr. Speaker, I rise to present three petitions on behalf of residents of the ridings of Toronto Centre, Toronto—St. Paul's, and Thunder Bay—Superior North, calling on the government to enable a network of community-operated media centres to ensure the survival of community TV, the availability of local media in towns and neighbourhoods not served by public or private media, and that all Canadian residents have access to multi-platform media skills training and content distribution in the digital economy. I would like to thank Dawn Jobson, Cathy Edwards, Donna Mikeluk, and the Regent Park Focus Youth Media Arts Centre for their advocacy on this issue. Mr. Speaker, it is my honour to present my first electronic petition, with 757 signatures by people who are demanding that if the government is going to change the federal electoral system, it first seek a mandate from the people through a referendum. If you would give me the liberty for just one moment, a group of people that I think all of my colleagues would like to wish a very merry Christmas and a happy new year to would be our Canadian Forces and all first responders, who keep us safe, but, particularly, the Canadian Forces members who are in theatre right now and risking their lives in the Middle East. We want them to know that we will remember them throughout our holidays and will be praying for them and their families and that they continue to be safe while guarding all of those things that are valuable to us: democracy, human rights, and the rule of law. I thank the hon. member for Flamborough—Glanbrook for mentioning our Canadian Forces personnel and first responders. I know that members would join him in that. Mr. Speaker, I have two petitions to present. In the first petition, a number of my constituents call upon the House of Commons to pass legislation that recognizes preborn children as separate victims when they are injured or killed during the commission of an offence against their mothers, which would allow two charges to be laid against the offender, instead of just one. Mr. Speaker, my second petition calls on the Government of Canada to maintain the listing of the Islamic Republic of Iran as a state supporter of terrorism for as long as the Iranian regime continues to sponsor terrorism. On a lighter note, I would like to wish the Speaker, all members, and all Canadians a very merry Christmas. Mr. Speaker, I am pleased to present a petition signed by dozens of residents of Vancouver Kingsway calling on the government to enable a network of community-operated media centres to ensure the survival of community TV, the availability of local media in towns and neighbourhoods not served by public or private media, and that all Canadian residents have access to multi-platform media skills training and content distribution in the digital economy. These people recognize the vital importance of community media in this country as a complement to the private and public elements. I also would like to extend my best wishes to the Speaker and all members of the House for a peaceful and joyous holiday season and best wishes for a happy new year. Mr. Speaker, I am pleased to present a petition signed mainly by people from the region of Temiscaming in my riding. They believe that community television and access to local media is important. They are asking the government and the CRTC to take action on this matter. Mr. Speaker, I have a petition about community television and media signed by dozens of people in my riding, Vaudreuil—Soulanges. The petitioners call on the government to enable a network of community-operated media centres to ensure, first, the survival of community television; second, the availability of local media in towns and neighbourhoods not served by public or private media; and last, that all Canadian residents have access to multi-platform media skills training and content distribution in the digital economy. Mr. Speaker, I rise to table a petition signed by over 4,000 people from Vancouver East and around the Lower Mainland. Joined with the online petition, this brings the number of signatories to over 10,000 people. The petitioners wish to bring to the attention of the House the fact that Crab Park, a park for which the community fought long and hard, and was occupied crown land, was established back in 1984. The petitioners know that the Port of Vancouver will expand Centerm terminal by infilling an area the size of Crab Park. The community is very concerned with respect to the environmental impact, and how the enjoyment of the park will be impacted as a result of this expansion. The petitioners note that in 2015, the people of Vancouver East were caught by the smoke from a chemical fire in the Centerm terminal that required an evacuation. In our community, we have many seniors and disabled people who would be challenged as a result of this situation. They are very concerned with this expansion. Mr. Speaker, I am pleased to present a petition on behalf of nearly 150 residents from the cities of New Westminster and Burnaby, and some other cities in the Lower Mainland. The signatures were collected through the wonderful work of the activists of NewWest.tv. These are volunteer activists who support community television. The petition points to the fact that the federal government should be supporting community television by acting and ensuring that there is a network of community-operated media centres to ensure the survival of community television. It should also build on the availability of community television and community local media in towns and neighbourhoods not served by community television or community media currently, and to ensure that all Canadian residents have access to multi-platform media skills training and content distribution in a digital economy. Mr. Speaker, I wish to join all others in wishing all members and their families a very merry Christmas, a prosperous new year, and the best of the holiday season. Mr. Speaker, Question No. 591 will be answered today. With regard to the government considering the purchase of the Ambassador Bridge: (a) when did the current government opt to investigate this possibility; (b) when was this intention communicated to the Windsor-Detroit Bridge Authority (WDBA); (c) what specific instructions were given to the Interim Chair of the WDBA insofar as this potential objective is concerned; (d) why did the government consider the potential purchase of the Ambassador Bridge as falling within the scope of the WDBA; (e) what does the government consider to be the current value of the Ambassador Bridge; (f) has the government assessed the future value of the Ambassador Bridge, after the Gordie Howe International Crossing is built and in use and, if so, what are the details of that assessment; (g) if the government has not assessed the future value of the Ambassador Bridge, after the Gordie Howe International Crossing is built and in use, why has it not; and (h) does the government plan to proceed with the Ambassador Bridge Enhancement Project if it acquires this infrastructure? Mr. Speaker, the Government of Canada is fully committed to building the Gordie Howe international bridge. The request for proposal was released on November 10, 2016, which is a critical step in delivering the bridge. The government and the Windsor-Detroit Bridge Authority will continue to meet with stakeholders to implement this important project, including the owners of the Ambassador Bridge. However, no formal negotiations have occurred regarding the purchase of the Ambassador Bridge. Mr. Speaker, if a revised response to Question No. 550, originally tabled on December 2, 2016, and the government's response to Question No. 590 could be made orders for return, these returns would be tabled immediately. With regard to personal styling and coaching, since November 4, 2015, broken down by department, agency, and crown corporation: (a) how much has the government spent on (i) makeup, (ii) makeup artists, (iii) hair products, (iv) hair stylists, (v) any stylists not covered by (ii) or (iv), (vi) personal coaching, (vii) media coaching, (viii) any other coaching not covered by (vi) or (vii); (b) what is the breakdown of each expenditure including (i) date of purchase or contract, (ii) duration of contract, if applicable, (iii) amount of contract, (iv) amount spent, (v) contract file number, (vi) vendor name; and (c) which of the expenditures referred to in (b) were for a Minister or Ministerial exempt staff? With regard to capital gains tax exemptions for donations of publicly-traded shares to registered charities, broken down by year from 2006 to 2015: (a) how many taxpayers have used this exemption; (b) what was the total value of the donations to which this exemption applied; (c) how many registered charities benefited from these donations; and (d) by how much did this exemption reduce government revenues? moved the second reading of, and concurrence in, amendments made by the Senate to Bill C-29, A second Act to implement certain provisions of the budget tabled in Parliament on March 22, 2016 and other measures. Mr. Speaker, I would like to add my voice to all of the others and wish you a Merry Christmas and to thank you for enlightening us every day that we spend with you. I would also like to thank my amazing colleagues on this momentous day. I think that the people who watch this debate will understand why this is so important on the last sitting day of the House before Christmas. We are doing something special for Canadians, and something they will remember. My speech this afternoon might interest all parliamentarians because it is a speech in favour of the middle class, Canadian families, and people in every one of Canada's ridings who sent us here to Ottawa. I am very pleased to be here to talk about Bill C-29, budget implementation act, 2016, No. 2. Before going over the many major benefits of this bill for Canadians across the country, I would just like to reiterate the government's commitment to strengthening the current protection system for consumers of financial products and services. We have talked about this at length and in this speech I want to clarify the government's position. Part of our commitment is to ensure that there is a solid, effective, and consistent system in Canada that guarantees the highest protection standards for all consumers of financial services in the country, regardless of where they live in Canada and regardless of the bank they do business with. As a member from Quebec, I would like to commend the extraordinary work of the 40 Liberal members of the government, who do a great job of championing Quebeckers and their position on this important issue. I thank them for that. They have done the work their constituents sent them here to Ottawa to do. They greatly contributed to ensuring that we consider every point of view that was expressed in this important file. I sincerely thank my colleagues. As everyone knows, we have listened to our colleagues from Quebec and to Quebeckers, who told us how important it is for them to have a high level of protection in the banking sector, in Quebec and across the country. We have listened to the Quebeckers who sent us here, to the House. That is why the leader of the Senate, the hon. Senator Harder, has tabled an amendment that will remove from the bill the current provisions for the banking sector, namely the consumer protection measures, so that we can ask the Financial Consumer Agency of Canada, the FCAC, to ensure that the federal protection system is as solid as any provincial protection system. That way we can see to it that our objective, the one we have had since the beginning, of having the highest overall level of protection for Canadians all over the country, can absolutely be achieved in a way that will meet our goals and ensure that Canadian consumers are protected. What has driven us from the beginning is that, thanks to the work of all my colleagues, we succeed in putting in place the best possible system, in order to defend the higher interest of consumers. Canadians deserve to have access to a consistent national banking system that is easy to understand, a banking system that has high consumer protection standards, is designed to meet the needs of consumers of financial products and services, and is applied in the same way regardless of where consumers may live. We remain strongly committed to organizing and strengthening consumer protection measures, making access to basic banking services easier, and improving the rules surrounding current business practices governing the way that banks deal with their customers. We must not forget the creation of new obligations for the banks to strengthen disclosure provisions, improve complaint processing, and reinforce governance and organizational accountability for consumer protection. Our objective is simple. It is to make the consumer protection system easier to understand and to prevent consumers from having to consult several sets of rules that apply to the same financial products and services, whether they are doing business in person or online. We want to increase the obligations imposed on banks and hold them accountable for improving outcomes for consumers and for treating those consumers fairly all across the country. That is why we will be working together with stakeholders and the provinces to ensure that the framework is strengthened so as to meet the highest standards, as was our initial objective, and we are going to achieve this with the sole objective of protecting consumers all over the country. Under the Constitution, the banks lie within federal jurisdiction, and that is how it has been in this country for 150 years. This responsibility includes that of ensuring that the banks are solid and that of establishing standards governing their operation to ensure they meet the needs of Canadians, of course. To that end, we have to oversee the establishment of a rigorous system for protecting consumers of financial products and services that is applicable in the same way throughout the country. I know that this is an issue that the House fully understands. The proposed improvements would make it possible to employ a broader spectrum of personal identification documents to open an account or cash Government of Canada cheques, and this is one of the measures that affect the people who sent us here, to Ottawa. I can say that this measure is going to benefit people in the regions north of my riding, including certain indigenous communities, because they are having difficulty accessing banking services and cashing federal government cheques. This system will give them easier access to certain banking services. The rules we are introducing also add a new prohibition on imposing undue pressure on consumers, and apply cancellation periods to a wider range of products and services. Summary information boxes would be mandatory for a larger number of banking products and services, and accountability would be improved, notably thanks to requirements for banks to report on measures taken to meet the challenges faced by the most vulnerable Canadians. Improvements would also strengthen the current complaint management requirements, so as to require banks and external complaint processing bodies to report on the number and nature of complaints received. All of these measures would guarantee that the banks are answerable for their actions. We know that consumers are better protected when rules and rights are clearly laid out for all stakeholders. Similarly, it is easier to ensure that banks are accountable when the rules to be followed are clear and exhaustive, when they are national in application and when compliance is ensured by a designated federal regulatory agency such as the FCAC. Our government has promised to protect the interests of middle-class Canadians and those of persons working hard to join the middle class, and we will continue to do so, particularly with regard to the protection of consumers of financial products and services. I would also like to note how the amended budget implementation act, 2016, No. 2 would continue to make a very substantial contribution to the achievement of our objective of growing the economy, to the benefit of families, workers, and the most vulnerable members of our society. The strengthening of the middle class and the establishment of conditions conducive to sustainable economic growth are the main priorities of our government. Tax fairness is an important part of our commitments in this regard, as is the adoption of a tax system that functions as planned and contributes to fostering an economy that works for the entire population. As there are only a few moments left in this momentous day, I invite all members to reflect about who sent them to Ottawa, whether they are young, old, workers, families, or the people working in their riding, because these people all sent us here with a mission, and that is to properly represent their interests. Members will find in C-29, budget implementation act, 2016, No. 2, measures that will help the people who sent us to Ottawa. All members should vote for this bill as they will be voting to support the people who sent them here. This is a momentous day for Canada, and everyone will remember the day when we rose to work for Canadians. Madam Speaker, in a few minutes, I will respond to the parliamentary secretary's arguments, which were rather creative at times. I would like to put a question to the minister, or I should say the parliamentary secretary. That was a Freudian slip. Two days ago, the minister did say that he would come back later with new legislation on banks and consumer protection. Can the parliamentary secretary assure us that the next time he rises in the House to introduce a bill, he will have first obtained, if only in principle, the consent of all the provinces, especially Quebec, which, as he knows, has the most rigorous and robust consumer protection framework? Madam Speaker, I would like to thank my colleague from Louis-Saint-Laurent, for whom I have tremendous respect, and send my best wishes to his family this holiday season. I would also like to thank my colleagues, who have been working for Canadians all year long. Although my colleague is well informed about current issues, I must remind him about something in response to his question. From day one, our goal has been to provide Canadians with the best regulatory framework for consumer protection in both Quebec and the rest of Canada. I can assure my colleague from Louis-Saint-Laurent that we have been consulting with the provinces and various organizations all along. We will continue to hold consultations to ensure that we develop the best possible legislative framework. Every time we have risen in the House, we have sought to protect consumers because what they need is a framework that will protect them. That has been our goal, it is our goal, and it will continue to be our goal when we introduce the next bill. Madam Speaker, I would like to talk more about that. The member for Louis-Saint-Laurent asked a straightforward question. For two or three weeks, the government did not listen to the arguments of the opposition, the Senate, the Chambre des notaires du Québec, or consumer protection groups who were saying that Bill C-29 decreased consumer protection and infringed on Quebec's jurisdiction. What the member for Louis-Saint-Laurent was saying in his question is that the minister seems to be suggesting that he is going to come back with new consumer protection legislation, even though this is an area of provincial jurisdiction. We did not want to know whether the government was going to introduce new consumer protection legislation or not. What we wanted to know was whether the government was going to get the consent of the provinces, including Quebec, before doing so, so as not to infringe on provincial jurisdiction. Madam Speaker, on this memorable day, I would like to recognize my colleague because he is an important member of the Standing Committee on Finance. He, too, had the opportunity to examine this bill. I can assure him that departmental officials have always consulted the stakeholders from the various provinces, including Quebec, obviously. I can assure him that we listened to Quebec consumers. We also listened to the 40 Liberal government MPs on this side of the House, who shared the concerns they were hearing from their constituents. That is why we agreed to take a step back to ensure that we are providing Canadians, including Quebeckers, with the best financial consumer protection framework in the country. Madam Speaker, my colleague spoke of a federal protection framework that is as solid as the one in Quebec. Does he intend to put in place legislation as extensive as the Quebec Consumer Protection Act, which is 117 pages long and has more than 400 pages of schedules and regulations? Will he also institute a system of civil law at the federal level, since class actions come under the Civil Code? Can the member assure us today that his statement that the federal protection framework will be as solid as that of Quebec is true? Madam Speaker, I would first like to say hello to my colleague and thank him for his contribution. In short, I can say that we will continue to listen to all stakeholders in the provinces in order to establish the best consumer protection framework. That has been our goal from the beginning, and my colleague knows it. We will continue to listen and to work together to offer the best possible framework to Quebeckers. Before we continue, I would also like to wish everyone a merry Christmas and a happy new year because I do not know if I will have another opportunity to do so. I enjoy working with everyone. I know that we do not always agree, but what is important is that this is the time of year that we wish one another all the best. Resuming debate. The hon. member for Louis-Saint-Laurent. Madam Speaker, on behalf of all of my colleagues, thank you for your good wishes. We also extend our best wishes to everyone who helps keep the House of Commons running smoothly. As everyone knows, it gives me great pleasure to rise and speak in the House. Today especially, I am pleased to vote and speak in favour of the amendment presented by the Senate regarding Bill C-29. I do not like anything about this bill, but the proposed amendment is a fine moment for the House of Commons. The politicking has been really obvious these past few days. Everyone is tugging on the blanket, saying that they are the ones who got things done. The reality is that all Canadians are the winners. Well done. First, I want to commend the work of my colleague from Joliette, who on November 17, 2016, if I am not mistaken, was the first to raise the issue and bring the debate to parliamentary committee and to the House of Commons. I also want to commend my NDP colleague from Rimouski-Neigette—Témiscouata—Les Basques who is doing a great job, as well as the Chair for its co-operation. I would also like to commend the government for finally listening to reason and making the right decision, after admittedly creating some unfortunate uncertainty. It is never easy in politics to backtrack, to take a step back and admit that the first step was not the right one and that we have to take another. The government did that, and that is good. I also commend our Senate colleagues, Senator Carignan, leader of the official opposition, and Senator Pratte, a new independent senator, who also alerted the government to the problems related to consumer protection in Bill C-29. In short, Bill C-29 contained what we would call a constitutional virus. There were several clauses, division 5 in its entirety, that directly affected consumer protection. From our perspective, that is a provincial jurisdiction. There was input galore from the opposition parties here in the House, in the Senate, and also from the National Assembly, which, in a unanimous motion appealed to the government on this, on behalf of Quebec's justice minister and the member for the Outaouais region, and on behalf of the Premier of Quebec, who even warned the government that if by some misfortune this bill were passed, it was highly likely that the Government of Quebec would challenge it in court. Finally, each individual's efforts and sacrifice for the good of the many and this government's understanding, albeit a bit delayed, are why we are gathered here today. Let me explain some of the history of this bill. We have to go back to 2012. At that time, the federal government tabled in the House of Commons a bill that covered and addressed a lot of issues about the banking system. As members know, the banking system belongs to the federal government, but in 2012, this bill addressed some of the issues concerning consumer protection. Then, also in 2012, we were aware of that in the National Assembly. I am using the word “we” because I was there at the time. I was a member of the National Assembly. That may remind many colleagues of some bad memories. However, I was one of those who voted for a unanimous resolution in the National Assembly, calling on the House of Commons, saying that consumer protection was a provincial jurisdiction, not a federal one. In 2014, the Supreme Court, in the Marcotte decision, clearly identified that consumer protection was a provincial jurisdiction, not a federal one. At the time, our government, having acknowledged the 2014 Supreme Court ruling, was preparing to make changes to prevent what has been happening over the past few weeks, and that is a law that allows the federal government to once again infringe on the provinces' jurisdiction. Bill C-29 is the bill that will implement the Liberal's bad budget, which I will come back to later. Sadly, this bill contained what we call a constitutional virus, one that would have sent us straight for a brick wall. The only thing this bill would have accomplished is to give hundreds of thousands of dollars to lawyers who already knew it was a lost cause. In 2014, the Supreme Court ruled that consumer protection was an area of provincial jurisdiction, not federal. The federal government was trying to take it over with Bill C-29. We were headed for constitutional disaster. That was not a good thing because it would have cost money and taken time to get back to where we started. As I was saying earlier, everyone's hard work and sacrifices on behalf of Canadians have made the government see reason. Bill C-29 contained a constitutional virus, but that is going to be remedied today, which is wonderful. However, this is still a bad bill because it implements bad measures from the Liberal's bad budget. I would like to talk more about that. I want to remind members that this budget provides for a $30-billion deficit, which is three times the amount promised by the Liberals. During the election, the Liberal Party promised that it would run small $10-billion deficits and that it would balance the budget at the end of three years. However, the reality is quite different. We are talking about a $30-billion deficit. When will the budget be balanced? It will only be balanced when the Conservatives return to power in three years. Is this not the government that was boasting about taking a balanced approach, promising to change the tax code, promising that Canadians would be more fairly treated? Is the government aware that 65% of Canadians are not affected by the so-called tax cuts and that anyone earning $45,000 or less per year is not affected by the Liberal measures? Is the government aware that the people who will benefit the most from these supposed tax cuts are those earning between $144,000 and $199,000 per year? Are those people part of the middle class? No. I confess that I am in conflict of interest on this. As a member, I am among Bill C-29's privileged few, which means that I will be paying less income tax. I do not feel that this is a good thing. The people who earn $44,000 are members of the middle class. Yet the government is granting them no tax cuts. The government sees itself as a sort of noble Robin Hood figure, taking aim at the poor souls who have the misfortune of earning $200,000 a year. A word of caution, sometimes bowstrings can snap, as seems to have happened in this case. Those who are in greatest need are not affected by the proposed measures. Time is passing, the last thing I want is to get carried away. That never happens to me. The holiday season is upon us, so let us play nice. The holidays are coming and we all realize that we are in politics for the benefit of future generations. As inheritors of our parents' legacy, we now work for our children's future. I have been elected four times, and have served four terms as a member, whether of the National Assembly or the House of Commons. Tradition has it that I should appear at the ballot box accompanied by my parents and my children; that is part of my political commitment. I am there thanks to my parents and for my children. In closing, then, allow me to salute those without whom I would not be here, namely my parents, who tomorrow, December 15, will be celebrating their 65th wedding anniversary. We all get carried away sometimes. That said, it will now be my pleasure to take my colleagues’ questions. I wish a very happy wedding anniversary to the parents of the hon. member for Louis-Saint-Laurent. Sixty-five is a good many years. The honourable Parliamentary Secretary to the Minister of Finance has the floor. Madam Speaker, I salute my colleague from Louis-Saint-Laurent's parents. I hope they are listening. The only virus people were afflicted with was the Conservative virus. They found the antidote on October 19 when they elected a Liberal government. Canadians have spoken loud and clear. People are watching us on television right now, and I know some of them in the riding of Louis-Saint-Laurent. What does Bill C-29 mean? It means lower taxes for nine million Canadians, some of which live in my colleague's riding and are watching us right now. They will see if the member for Louis-Saint-Laurent is going to vote for or against this tax cut that will affect them. Some of these people live in Louis-Saint-Laurent, and also in Lévis—Lotbinière, a riding I know very well because my mother lives there. Nine out of ten families from coast to coast will benefit from the Canada child benefit, including some who call the riding of Louis-Saint-Laurent home. Will the member for Louis-Saint-Laurent say yes or no to these families receiving a much needed cheque? We enhanced seniors' pensions. Seniors in Louis-Saint-Laurent will be watching him . Will the member vote for or against seniors in his riding? I know him. He will do the right thing. Madam Speaker, one thing is for sure: I will never vote for a budget that creates a deficit that is three times larger than expected, especially considering that the government has never been able to tell us when the books will be balanced again, even if I asked 14 times and would ask again if I had more time. I will vote against a budget that purports to help the have-nots while giving no tax breaks to the 65% of Canadians who earn $45,000 or less a year. Those who benefit the most from these so-called tax cuts are those who earn $199,000 a year. I will vote against a budget that sends any kind of control over family benefits flying out the window. We Conservatives had four family benefits programs in place and we still managed to balance the budget. This government introduced family benefits that are not even indexed. In any business, bookkeepers who did not index their numbers would be shown the door, which is not the case for this government. However, in three years, this government will be the one to be shown the door. Madam Speaker, I thank my hon. colleague from Louis-Saint-Laurent, who is always so entertaining. His parents are celebrating their 65th wedding anniversary tomorrow, and mine are celebrating their 50th in six months. A most pleasant coincidence! I would like to ask him a question which, once again, concerns areas of jurisdiction. He has made a good statement, and I am going to make mine in the ensuing speech. I am truly concerned at the fact that the government seems not to understand the message that it has been sent. The consumer protection that the Liberals want to strengthen at the federal level lies within provincial jurisdiction. So I have a great deal of difficulty reconciling the federal government’s willingness to continue proposing such legislation even though it deals with a matter of provincial jurisdiction. Would my colleague care to add something to this exchange, one which will hopefully significantly influence the direction that the government wishes to take on this issue? What wonderful news, Madam Speaker. I offer my respects to the half-century of love between the parents of the hon. member for Rimouski-Neigette—Témiscouata—Les Basques. My colleague raises a very good and very important point. The government will have understood over the last few hours that consumer protection is a provincial responsibility. The banks are within federal jurisdiction, and consumer protection is within provincial jurisdiction. Will there be flowery speeches about appropriate consultations and taking the time we need even though this will not be on our radar come April or May? If that is the case, then fine. Let us buy some time, friends. If that is what they want, no problem. We are not opposed. Let us keep consulting. I have one bit of advice for my colleague: let him call minister Jean-Marc Fournier, whom the people in his riding know very well since he is the former senior advisor to the former leader. I advise the hon. member to call Jean-Marc Fournier, a good friend of mine. He is so Liberal he is redder than the Canadian flag. He would advise the Liberals to let this go, because it is an area of provincial jurisdiction. This is the most active day we have seen in a good while, and it is our last. It is incredible. Everyone seems reinvigorated. Resuming debate, the member for Rimouski-Neigette—Témiscouata—Les Basques has the floor. Madam Speaker, I rise in the House for the last time in 2016, and I wish every member of the House, especially my colleagues who sit on the finance committee, happy holidays, merry Christmas and all the best for 2017. I hope everyone will use the next few weeks to get some rest. My final thoughts will not be in praise of the government. Today the government indulged in some interesting revisionism regarding what happened over the last weeks. Clearly, the parliamentary secretary should go back to Hansard so see what answers he gave in the House and what was discussed in the finance committee. He would realize that no one on the government side, no one among the 40 Liberal MPs from Quebec, not a single Liberal member of the House uttered a single word on consumer protection jurisdiction. Until very recently, before the minister did an about-face, the answers we got—the last one just two days ago—were still about defending the government's decision to go ahead with division 5, the amendments to the Bank Act. The government decided to delete the provisions, thanks to the efforts of all opposition parties. Like my colleague from Louis-Saint-Laurent, I, too, would commend the members of the Bloc Québécois, the Conservative Party and the NDP on all their work. I also commend the Senate, particularly independent senator André Pratte, who kept pressing the issue. Consumer associations that were invited to appear before the committee to share their concerns about consumer protection and federal interference also helped to make sure that the government backed down on this issue. Why is it so important? If I am concerned, it is because the government does not seem to understand that the main issue is not the level of protection enjoyed by Canadian bank customers. The main issue is that consumer protection is a provincial jurisdiction. Given what we have just heard, the minister is clearly trying to find another way of imposing a consumer protection framework even if that is outside federal jurisdiction. I am worried by the government’s interpretation of the famous Marcotte ruling. This was a class action against the Bank of Montreal. Mr. Marcotte went to court to challenge certain fees which he felt were far too high, in addition to being hidden. He went to court to complain about these fees. In the end, the Bank of Montreal and all the banks were saying that they did not need to comply with the Consumer Protection Act, because they operate under federal jurisdiction. The case went to the Supreme Court. Contrary to what the government has persisted in saying, the Supreme Court did not ask the government for jurisdictional clarification. The Supreme Court established that the Bank Act was applicable, the Consumer Protection Act was applicable, and the two could coexist very well, since they were complementary. The Bank Act covers the operation of the various banking programs, and the Consumer Protection Act, self-evidently, covers consumer protection. What the Marcotte ruling said was that the Consumer Protection Act was applicable. The Supreme Court never asked the government to look into the issue and assume control of the consumer protection issue, for Quebec or for the provinces generally. Why is this a problem? Why was it a problem with regard to the jurisdiction from which we will shortly be withdrawing? The legislation created a conflict between the federal statute and the provincial statute. There is a principle called the principle of federal paramountcy, which holds that if two laws, one federal and one provincial, touch upon the same issue, the federal law will have primacy. With regard to the Marcotte ruling, the Supreme Court said that there was no conflict, in spite of what the banks tried to make it say. In trying to recover these powers, in trying to impose this, they created a conflict between the federal side and the Consumer Protection Act. Having created that conflict, they found themselves invoking federal paramountcy. I would argue this is where the government’s argument failed. It is the same kind of argument the consumer protection agencies, in particular, were making, saying that the government was trying to interfere and create a problem where there was none. Obviously, the Chambre des notaires and the Barreau du Québec were saying the same thing. That is why we are happy to see these clauses being withdrawn, indeed, to see the entire opposition in this House working in the same direction to encourage the Senate to take a look at this. Quebec, starting with the opposition in Quebec City and then the government, saw that there was a major problem, and asked the federal government to make some changes and remove these clauses. The various civil society groups did the same thing. Finally the government has listened to reason. We hope that it will learn a valuable lesson from what has happened when the time comes to make decisions which could effectively encroach upon provincial jurisdictions. In that sense, I invite the Liberals to do some soul-searching over the holidays. We will have a few weeks to replenish ourselves. This is the perfect time to do it. I am truly very happy to have been able to play a small part in this decision. Once again, all of the opposition parties have been involved in this. I will close by adding a few more words on Bill C-29, and perhaps replying to what has been said on the government side. They talk often of the 9 million Canadians who are going to benefit from the tax cuts. But they are always silent about the fact that 23 million Canadians, most of them earning less than $45,000, will benefit in no way from these cuts. I would prefer that they show a little more honesty. Certainly, there will be a tax reduction. They will increase taxes on the 1% richest people, but that money will not be given to the middle class as a whole. It will be given in large part to the 9% of people who are the richest. My colleague from Louis-Saint-Laurent mentioned this: the people earning under $45,000 will receive nothing from the tax cut. Those earning between $45,000 and $90,000 will benefit a little from the tax reduction, but mostly it will be those earning over $90,000 and up to close to $200,000 who will benefit from it. Even those earning $210,000 per year will still enjoy a tax cut. But the people earning $45,000 will get nothing at all. That is one of the problems with the Liberal program. We tried to correct the situation by making it possible for people to get a tax reduction starting at $11,000, but the government would have nothing of it. The second thing, also mentioned by my colleague from Louis-Saint-Laurent, is the fact that when the Canada child benefit program was set up, they forgot to index it. That is a major problem because the lack of indexing would have meant that the program would have been less advantageous for most families starting in 2022-2023. For this we can thank the parliamentary budget officer, who conducted a rigorous study on the subject. As if by chance, the afternoon after the report was published, the government finally said that it wanted to index the program and would do so starting in 2020-2021, that is, after the next federal election. Can we really believe that this was part of the government’s plans? It never mentioned indexing when the program was announced, when it was set up. In the end, it took the publication of a report for them to realize that not indexing would mean that the government’s initiative was going to be less beneficial within six years. Even taking into account the amendments to Bill C-29, we are going to find ourselves in a situation where loss of purchasing power is going to come dangerously close to the level that families would have had with the old program. So instead of congratulating ourselves on different initiatives—initiatives whose value or lack thereof we can debate, initiatives that are going to affect different groups of Canadians to different degrees—for 2017 I would like to wish the House debates that are more rigorous in terms of economic analysis. I am an economist by training, and I like rigour. There is always room for partisan viewpoints. That is normal: we function on the adversarial principle. It’s normal that we should have differing positions, but all the same, we ought to be more rigorous and disciplined in the exercise of our duties. That is what I wish us all for 2017. Madam Speaker, I listened with great interest to the speech made by the member for Rimouski. I am sorry, I always have a hard time stating the full name of his riding, Rimouski-Neigette—Témiscouata—Les Basques. I think we all have made a step forward, not backwards. Society as a whole made a step forward, because our objective from the start was to establish the best possible framework for all consumers. The hon. member, who sits on the finance committee and who speaks a lot about these issues, should also go back to Hansard. People talked about this in committee. I would like to review my colleague's comments. Since the holidays are upon us and a new year will begin soon, I hope he will help us deliver the best possible framework, not only for Quebeckers, but for all Canadians. This is not about weakening the protection framework. What we are saying is that we need to take the best practices from all over the country and have all consumers benefit from them. That is our goal. I hope the hon. member will be on side. It would be illogical to sit at the federal level and not want to offer good protections in every province. My wish for 2017 is to have the member share his ideas regarding the best possible consumer protection framework when it comes to banks. Madam Speaker, I would like to take this opportunity to wish my colleague, for whom I also have a lot of respect, a joyful holiday season and a very happy 2017. I look forward to seeing him again. We are here to work for Quebeckers and Canadians. There is a problem with his reasoning. Yes, I believe politicians should work to improve consumer protection, but if we follow that logic to its conclusion, we would want the federal government to be responsible for making sure that the whole country benefits from the best possible education. That is not its job, nor is it the federal government's job to do that for health or hospital administration. We have provincial jurisdiction, and we have federal jurisdiction. Consumer protection falls under provincial jurisdiction. That is what I want the government to understand, and that is what I want the Minister of Finance and the Department of Finance to understand before they come back with another consumer protection proposal, even one concerning the Bank Act. The Supreme Court was clear. The Consumer Protection Act does not conflict with the Bank Act. Why would the government want to create conflict by superimposing a federal framework on a provincial law that is perfectly suited to our needs? We would like to see all of the provinces adopt as strict a regime as Quebec's. Madam Speaker, I very much appreciate the speech by my colleague from Rimouski-Neigette—Témiscouata. I left out “Les Basques” from my colleague's constituency name, but since it is Christmas, he will understand that although I forgot part of his riding, it is still just as important in his eyes. I was listening to my colleague talk about how surprised we were to see that the members from Quebec did not notice that this clause on consumer protection in Quebec made its way into this substantial bill, Bill C-29. I would like to understand how consumer protection in Canada would be improved by eliminating the consumer protection that already existed in one of the provinces. I am having a hard time following the government's logic on that. I would like to know if the hon. member came to the same conclusion that I did: no one in Quebec noticed the mistake that slipped into Bill C-29. Thank goodness for the opposition. Madam Speaker, I thank all members who try to pronounce the name of my riding. The people of Les Basques might feel slighted. I will take this opportunity to say hello to the people of Trois-Pistoles and the surrounding area who are often neglected in these answers. Indeed, no members from Quebec stood up to speak. What is more, no Quebec members who sit on the finance committee asked any questions on the matter, even when we raised this issue with consumer advocacy organizations. That is a problem, because the government is trying to say that it is doing this for the good of consumers and that it came around after such a strong reaction from its members, because it listens to them. Liberal members from Quebec are not the ones who changed this decision; it was the hard work done by the opposition parties in the House, the work of the Senate, the work of the parties of the National Assembly, and the various organizations that look after these matters. You cannot imagine how pleased I am to speak to my own amendments to Bill C-29, Madam Speaker. In fact, the motion moved by the government repeats word-for-word the amendments that the Bloc Québécois presented to the finance committee. It is exactly the same as the amendments that we presented at report stage. I am proud. I am proud of our work and of our people, who came together and mobilized. The experts, consumer advocates, the National Assembly, reporters, everyone stepped up. Today, we see that it is worth it to not give up. It is not always easy to swim against the current. However, in the end, standing firm pays off. Speaking about standing firm, I would like to add that some members must not feel very proud today. I am referring to the 40 Liberal Quebec members who voted for Bill C-29 at second reading, who voted against our amendments not once but twice, in committee and in the House. They were the ones who always said that our criticisms were unfounded, that Bill C-29 was excellent, and that our amendments were ridiculous. No, those 40 MPs must not be proud. Members have probably seen old RCA records, with the dog sitting next to a gramophone. That dog's name was Victor, and he was sitting there because he was listening to his master's voice. That is similar to what we have seen throughout the saga of Bill C-29: members from Quebec listening to their master's voice. Well, it looks like their master has abandoned them and even decided to support amendments made by the Bloc Québécois. Way to go Victor! Much more fundamental questions are raised by these events: Who should the leader of the Liberal Party of Canada listen to on decisions that strictly affect Quebec? Should he follow [Quebeckers] or his Toronto advisers who know nothing about the social and political realities of Quebec? That little guy from Saint-Alphonse-Rodriguez knew what he was talking about, and for good reason: he is former Quebec lieutenant for the Liberal Party and current mayor of Montreal Denis Coderre. Way to go Denis! I may be proud, but I am not trying to gloat. In Canada, the battle is never truly won for Quebec. The Minister of Finance has already announced that there will be another episode of this bad TV series next year. He wants to come back with a bill that is not quite as flawed. He said that he wants to enhance the federal consumer protection framework and that, once he has done his homework, he is going to come back and try once again to put banks above Quebec's laws, which the banks hate. I wish him luck because it will not be easy. In order to propose a bill that provides the same kind of protection that Quebeckers now enjoy, the government would have to draft nothing less than a federal version of the Civil Code. Here is another problem: either the future bill will not protect anyone because contract law does not fall under federal jurisdiction or it will be unconstitutional because contract law does not fall under federal jurisdiction. In short, the bill will either be ineffective or unconstitutional. That is quite the dilemma, and I say to him, “Good luck, Charlie Brown”. The new year promises to be a busy one, and we are going to remain vigilant. For now, I will smile and thank everyone who took action against the rich bankers and their co-conspirators and sided with ordinary Canadians. I thank them and congratulate them. I would like to wish everyone here a happy holiday season. Madam Speaker, I greatly appreciate your best wishes for the holidays and the new year. I would also like to wish all members of the House, all employees, and their families and loved ones a merry Christmas and all the best in 2017. Madam Speaker, I would also like to wish you a merry Christmas. Madam Speaker, I thank my colleague from Joliette. I know he is a good-hearted man and I have a tremendous amount of respect for him. He says he is proud, but I hope the people of Joliette are watching because he is about to vote. What is the first thing we did? We gave a tax cut to nine million Canadians. At least a few of them must live in Joliette, because I know some of them. We have introduced the Canada child benefit, which helps nine out of ten families. Liberal members from Quebec are proud to work on behalf of those families. I'm assuming that there is at least one family in Joliette who will benefit from this measure and who is watching right now. I will make sure to visit them during the Christmas break. We also improved the pension system, and that will benefit 900,000 seniors. The member for Joliette is a good-hearted man. I hope he will vote in favour of this measure and help a few seniors in his riding. If there are 900,000 across Canada, there must be one or two in Joliette. I cannot imagine otherwise. We also made much needed investments in infrastructure. The member from Joliette is a good-hearted man. Will he vote for Canadian families, for our middle class, for our seniors and for our youth? That is the question. Madam Speaker, I would like to thank my colleague from Saint-Maurice—Champlain for a great question. The members of the Bloc Québécois are dedicated. We are in Parliament to represent our constituents and the people of Quebec. That is what we are doing. Bill C-29 contains some good measures, such as the child care benefit. There are good measures. The tax cut for the so-called middle class, however, will benefit mainly the well-off middle class, which I belong to. I will be among the 10% of people in Joliette benefiting from this tax cut. I am thinking of the remaining 90%, whom this bill will not help enough. Even though we are very happy with the amendments proposed today, Bill C-29 does too little for the real middle class. I would also like to remind the government that, when it portrays itself as Canada's Robin Hood, that is just a mask. Beneath the mask is the Sheriff of Nottingham. We are here to strip away that disguise. Madam Speaker, I thank my colleague for his speech and for his work on this file. I also want to wish him all the best for the holidays. My colleague touched on something very important, the fact that the Liberals, including the 40 Liberal members from Quebec, stood up at least once in the house, at report stage, to vote against my colleague's proposed amendments. We proposed similar amendments to eliminate clauses in division 5 on consumer protection regarding banks. However, the 40 Liberal members from Quebec, as they did in committee, rose in the House one after the other to vote against the amendments to withdraw this part of the bill. Today, they woke up and told us that we were right to want to withdraw this part of the bill, when they already had the chance to do so. Can my colleague tell me where the Liberals from Quebec were when they had the chance to vote in favour of our amendments to withdraw this division from the bill? Madam Speaker, I thank my colleague from Sherbrooke for his question and for his work in the House. I also wish him happy holidays. Where were the Liberal members from Quebec when this issue was raised? The committee bulldozed right over this like never before. The member for Gatineau vehemently opposed our amendments and even mocked them. All of these aspects were raised before a departmental official, who gave the same answer as the government at the time. It was all orchestrated to ridicule the amendments and show that they were far-fetched and frivolous. Fortunately, we were not discouraged. We worked with the Government of Quebec, the National Assembly, consumer protection groups, notaries, lawyers, members of the opposition, and even government members from Quebec in order to ask the Liberals to do something. Thankfully, today things have changed. However, we remain vigilant. Powers that belong to the provinces, including in matters of consumer protection, must not be taken away again in 2017. We will be just as vigilant in 2017 as we were in 2016. Pursuant to order made earlier this day the motion is deemed to have been adopted. moved that Bill S-4, An Act to implement a Convention and an Arrangement for the avoidance of double taxation and the prevention of fiscal evasion with respect to taxes on income and to amend an Act in respect of a similar Agreement, be read the third time and passed. Madam Speaker, I believe that this will be one of the last speeches, if not the last, of this session that is coming to a close. We have taken a historic step with Bill C-29. I know that one day, when current members are all retired and, like many Canadians, will be able to enjoy the enhanced pension plan, we will remember this historic day when we took a step forward for Canadian society by advancing the rights of seniors, young people, and the middle class. It is a great day for Canada. I would like to talk about Bill S-4, which concerns another very important issue. I welcome the opportunity today to speak to Bill S-4, the tax convention and arrangement implementation act, 2016. I know a number of members of the House have spoken already to this important bill. This is in the best interests of Canada. It is about ensuring we grow our economy and tax fairness. People understand the objective, and I think all members in the House will support the bill. It is the right thing to do for Canada. It is also the smart thing to do for Canadians. Canadians gave us a mandate to grow the economy and ensure we engage with our trading partners, whether it is the state of Israel, Taiwan, or Hong Kong, and work with them to grow our economy. This is what I will talk about today. I seek the support of all members. They know we need to send our notice before the end of the year in order for these agreements to come into force in 2018. This is very important for Canada and our trade relationships with Taiwan, the state of Israel, and Hong Kong. As Canada's economy is increasingly intertwined with that of the global economy, the importance of eliminating tax impediments to international trade and investment has grown in importance. I think every member in the House understands that. Whether one sits as a Conservative, NDP, Liberal, or Bloc Québécois, one must understand that it is in our best interest to invest and ensure we have more trade and trade that is fair. One way to remove these impediments is through tax treaties or double taxation agreements. These treaties are used internationally to eliminate tax barriers to trade and investment. Canada's network of 92 income tax treaties currently enforces one of the most extensive in the world, and that is something we should be proud of as Canadians. We are a fair trading nation. However, as with any measure of efficiency, there is an ongoing need to update and modernize this network with foreign jurisdictions. By modernizing our tax treaties and expanding our network, we will help facilitate international trade and make it easier for our treaty partners to invest in Canada. That is the mandate we have been given. The people who sent us to the House expect us to grow the economy, create jobs for Canadians all across our nation, in every riding in our country. They want us to work for them. I hope my colleagues from the NDP, the Bloc, and the Conservatives will support this, because I am sure they too believe in creating jobs for Canadians. This will help our economy and businesses, and strengthen the middle class. I still believe that everyone in the House should be working with us to help the middle class. There is nothing more important in our country that we can do than to support the middle class, families, youth, and seniors. On the international scene, the Canadian economy always faces headwinds. However, Canada can count on some solid economic fundamentals in order to seize the opportunities presented by the global economy. As there are only a few seconds left before we adjourn, I just want to wish every member a merry Christmas. I thank members for working with us to make sure that we do what matters to Canadians. Let us always remember when we rise in the House and raise our voice to bring something forward that we do it on behalf of the good people who have sent us here to make a difference in their lives, not just for the current state of affairs, but for the future. Canadians expect the best. To will quote our Prime Minister “better is always possible”, so let us work together in 2017 to make sure we strive to always be at our best, not for ourselves, but for the people we serve who have sent us to Ottawa. These people expect the best out of us, and that is what we will deliver. Madam Speaker, I rise on a point of order. I believe you will find unanimous consent to allow me to table a petition. I know with all the Christmas greetings that went on after question period, I was not able to do this during routine proceedings. It is a very well thought out petition from my constituents. Does the hon. member have unanimous consent of the House to table the document? Madam Speaker, I am pleased to present a petition from my riding by many residents who are concerned about community TV and media in rural and remote locations. They are calling on the government to support and ensure the survival of community TV. The House resumed consideration of the motion that Bill S-4, An Act to implement a Convention and an Arrangement for the avoidance of double taxation and the prevention of fiscal evasion with respect to taxes on income and to amend an Act in respect of a similar Agreement, be read the third time and passed. Madam Speaker, first, I would like to thank all my colleagues for allowing my colleague from Regina—Qu'Appelle to table a petition. It was a very nice gesture with Christmas just around the corner. I would like to say that we are really in the spirit of Christmas. It really shone through in the last speech that we heard. However, this evening, I am a bit torn between the happiness I feel about going back to my riding for Christmas and the sadness I feel at having to react to the speech that my colleague before me gave with regard to the passing of Bill C-29 today. He said himself that Bill C-29 is something that Canadians will remember. Unfortunately, yes, young Canadians will remember this bill when they have to pay off the $100-billion deficit that Bill C-29 will leave them. They will remember a $100-billion deficit for a long time to come. That is why I cannot share my colleague's enthusiasm for the Christmas spirit that he did such a fine job of expressing. Let us come back to the very important bill before us, Bill S-4, an act to implement a convention and an arrangement for the avoidance of double taxation and the prevention of fiscal evasion with respect to taxes on income and to amend an act in respect of a similar agreement. I want to highlight the work that our critic, the member for Louis-Saint-Laurent has done on this file. To most Canadians, tax agreements are pretty abstract. Here in Ottawa, we talk about issues that may or may not be interesting, but tax agreements and free trade agreements between different countries create jobs for Canadians. They create jobs for young Canadians. That is important because the market is now global. We have to acknowledge the tremendous work that all members of the House have done in recent years to sign more and more free trade agreements under the leadership of our former prime minister, Stephen Harper. We have free trade agreements with Europe, Peru, Colombia, Jordan, Panama, Honduras, and South Korea. Under the previous government, we signed other major free trade agreements with Austria, Belgium, Bulgaria, Croatia, Cyprus, the Czech Republic, Denmark, Estonia, Finland, France, Germany, Greece, Hungary, Ireland, Italy, Latvia, Lithuania, Luxembourg, Malta, the Netherlands, Poland, Portugal, Romania, the United Kingdom, Slovakia, Slovenia, Spain, and Sweden. Santa Claus will be visiting all of those countries in just a few days. I am sure that he will be bringing the children in those countries gifts that may have been made here in Canada. Why? Because free trade agreements enable Canadian companies, perhaps with the help of Santa Claus, to export their products to other countries. That is the good thing about free trade agreements. Regarding our relationship with Israel, when it comes to trade, I would remind the House that in 1996, trade between Canada and Israel was worth only $507 million. In 2012, it totalled $1.4 billion. Bill S-4 will mean that companies will not have to pay taxes in both countries if they are doing business in both countries. If we do not want to stand in the way of those companies, stand in the way of increased investments and trade with Israel, it is important to create an environment that facilitates trade and, above all, does not penalize them. I wanted to read a passage from the press release issued at the time by the former prime minister, Mr. Harper, on the advantages of signing and improving free trade agreements, particularly with Israel. Unfortunately, all of Mr. Harper's press releases have been removed from the Global Affairs Canada website by the current government. I cannot read it, but I certainly share Mr. Harper's intention at the time, which was to sign agreements and make sure that Canadians benefit as much as possible. Madam Speaker, I am pleased to rise in the House at third reading stage of Bill S-4. I would like to take this opportunity to wish everyone happy holidays. I realize that I will be the second last person to speak in the House and that my colleague from Pierre-Boucher—Les Patriotes—Verchères will be the next and last speaker. He will have the honour of ending the debate. I would just like to extend my best wishes to the House. We are not debating the most controversial bill. All parties worked together making it possible for the government to move the bill quickly through all stages in the House, including study by committee. All parties collaborated to ensure that everything went smoothly. Naturally, the government used the excuse that without royal assent and diplomatic notification before December 31, the convention with Taiwan could not go into effect on January 1, and if it was not in effect on January 1, 2017, we would have to wait until January 1, 2018. It goes without saying that we have been working together in order to advance this file, even though we have some reservations about tax conventions overall. In this case, the new concerns with respect to Taiwan are not problematic, nor is the use of the OECD model to update the agreement with Israel, which was signed in 1975. There is also a technical update for the Hong Kong agreement, which clarifies the status of Hong Kong as a territory of China. It goes without saying that we support the bill and that we are letting the government proceed. The Governor General will thus be able to sign it soon, give royal assent and, a few days later, notify Taiwan that the convention has been ratified and that it can take effect on January 1. We will be monitoring this file during the holidays. During those proceedings, I gave a very serious yet broad overview of tax conventions that can be problematic in some instances. That is why, during my speech at second reading, I encouraged the government to keep a closer eye on our 92 and soon to be 93 tax conventions with 93 nations in the world, in order to ensure that these conventions are used properly and for the right reasons and that they do not facilitate tax evasion, as is the case in Barbados. The title of Bill S-4 mentions combatting tax evasion. However, we know that in some situations tax conventions to avoid double taxation facilitate tax evasion because the businesses can claim resident status if they are sufficiently set up in the respective country and then claim the right to be taxed only once, which means, in the case of Barbados, to be taxed in Barbados only. When those businesses bring their money back here to Canada, they do not have to pay any additional tax since they already paid the taxes that they owe. Barbados has a low tax rate of 0.5% to 2.25%, if memory serves me correctly, and in that case, a tax convention is totally unacceptable. However, it goes without saying that this sort of convention would work well in the case of Taiwan or Israel because they have tax rates similar to those in Canada. We do not see a problem with this. However, I would like to remind the government of the importance of having a formal mechanism for the periodic review of these conventions. This would ensure that the countries with which we have conventions continue to have tax rates similar to ours and that we are not creating an even bigger problem and acting contrary to the spirit of these conventions by not seeking to prevent tax evasion. I wanted to mention that again in this debate at third reading and commend the government for passing this bill, which we hope will come into effect on January 1, if all goes well. I would like to say happy holidays to all my colleagues, yourself included, Madam Speaker. I hope to see everyone back here in good health in 2017 so that we can continue the important work that we do in the House and that we will continue to do in co-operation with all parties. We will see everyone in 2017. Mr. Speaker, I will begin by saying that the Bloc Québécois will be supporting Bill S-4, to implement various tax agreements with the countries listed therein. I am mentioning this right away because I am going to be rather hard on the government with respect to its previous position and its approach to tax treaties, and also because I may not have enough time to finish my speech given that members only get five minutes. It is becoming increasingly common for taxpayers, both individuals and businesses, to have revenue in more than one country given the rapid rate of globalization we are experiencing. This requires co-ordination and is an additional challenge for countries around the world. In fact, they have to adapt and have good legislation to deal with the problems that this situation creates. Hence, it is important that we enter into good tax treaties, like those we are debating today. The government often says that the purpose of tax agreements is to avoid double taxation and prevent tax avoidance. That is what they are supposed to do. However, tax agreements also make certain things possible. Any measure to avoid double taxation may be accompanied by a certain degree of non-taxation. That can cause problems. People who know how to game the system can find loopholes in the agreement to avoid double taxation and take advantage of them to end up paying no tax. We have to fight that, and that is why we cannot support any old tax agreement. Not every tax agreement is a good tax agreement. Here is a good example. Here, as in most places around the world, taxation is based on residency. I live in my riding of Pierre-Boucher—Les Patriotes—Verchères, which is in Boucherville, which is in Quebec, which is in Canada, at least for now. I pay income tax to Quebec and I pay income tax to Canada even though I do not really like doing so. However, all citizens must pay taxes in the country in which they reside. Normally it is easy to determine where someone lives: we look at where his credit card comes from, where his spouse lives, where his children live, and where his house is. That gives us a good idea of where he lives, and normally, it is hard to fake that. The problem lies with businesses. We cannot always be sure where a company has set up shop. Sometimes a company claims to be located in one place, while its board of directors is somewhere else. Sometimes it is located in one place but all the shareholders are somewhere else. In those fuzzy situations, we have to ask what is really going on. We have to ask if they are not trying somehow to distract from the reality in order to take advantage of the system and avoid paying the taxes they owe. It is in these situations that tax treaties and our fiscal regulations become important, which is why it is so important for governments to remain vigilant to this. The same is true in both Canada and Quebec. We are hitched to Canada's train, fiscally speaking, and so we are often subjected to Canada's decisions, even if we do not like them. In fact, we were almost subjected to the Canadian government's policy decision in Bill C-29. We therefore have to look at who is making the real decisions and where things are really happening for the company. That is where the company needs to be taxed. It is not enough to register a company in Barbados. That should not be how it works. The company actually needs to be doing business in Barbados. The company needs to be located there. The United States does not have the same rules as Canada. In the United States, a company is taxed in the place where it is registered. We therefore have a problem. In Canada, we are supposed to tax a company in the place where the board of directors is located and where the decisions are made, while in the U.S., it is where the company is registered. If a company is registered in Canada but makes its decisions in the United States, the Americans see the company as Canadian,. while Canadians see it as American. The company is therefore in tax limbo. It does not make any sense. We need to do something to prevent situations like that. Some jokers came up with the idea of doing that in the past. Fortunately, those types of situations were dealt with most of the time. However, this is not over because there are new ways to evade taxes, as we saw in the case of the tax treaty with Barbados. My colleague to my right, Mr. Ste-Marie, the member for Joliette, tried to do something about that, but unfortunately the members across the way decided it was perfectly all right for companies to use the tax treaty with Barbados for tax evasion. We hope that Bill S-4, which implements various tax conventions, will put an end to these situations. Merry Christmas, everyone, especially the banks. I would remind the member that he is not supposed to refer to members by their given names in the House of Commons. There is something to consider for the new year. Pursuant to order made earlier this day, Bill S-4, an act to implement a convention and an arrangement for the avoidance of double taxation and the prevention of fiscal evasion with respect to taxes on income and to amend an act in respect of a similar agreement, is deemed read a third time and passed. I want to wish everybody a very merry Christmas and happy holidays. I just ask members to remember that if they drink do not drive; if they drive do not drink. I want to thank everyone in this House and everyone on Parliament Hill who makes the functioning of the Hill so smooth for us as MPs. I have not forgotten the fine constituents in my riding of Algoma—Manitoulin—Kapuskasing. To my constituents, I want to wish them a very merry Christmas and a happy new year, and to all Canadians at that. Be safe. It being 5:04 p.m., pursuant to an order made earlier today, the House stands adjourned until Monday, January 30, 2017 at 11 a.m. pursuant to Standing Orders 28(2) and 24(1).